Home. It’s a wonderful word isn’t it? Hard to define, but wonderful to say, it means so many different things to so many different people. Even the dictionary doesn’t quite know how to accurately and clearly define it. Depending on the context, home can mean anything from a shelter to a territory, an instinct to a direction, a feeling to a destination. Such powerful concepts wrapped up in one short little word. 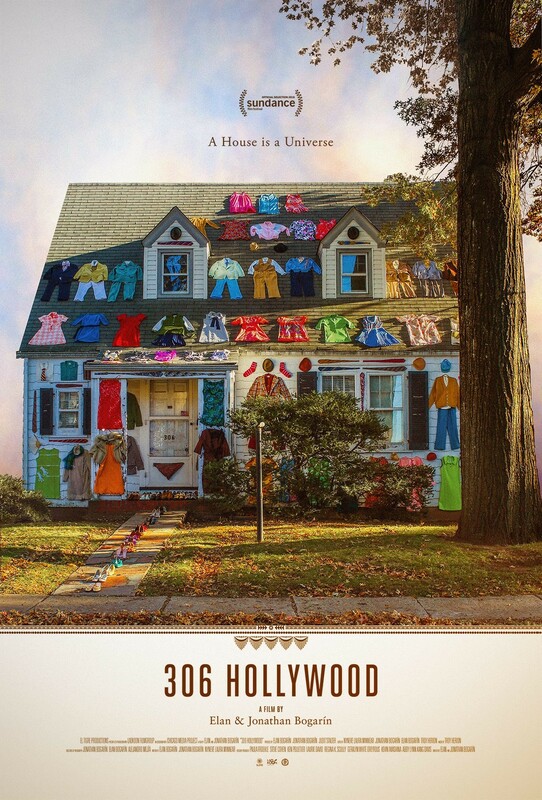 Recently, I’ve encountered a slew of interesting books and movies centered around the symbolic meaning of home. How the need for it is universal, like Maya Angelou said, but also how the journey to find it is completely personal and unique. The selections listed here, focus not only on the literal kind of house made of actual walls and roof-lines and windows, but also the figurative kind. The place or the space where you feel most comfortable. For some in this list, that home is their workspace- a place to dwell daily with a like-minded tribe of people. For others, it is a grass-is-greener dream of a city far away. For one woman in particular, home is not a house at all, but a garden yet to be built. For another, home is not only an actual house but also a palpable feeling – a place to connect and collect all that soothes and comforts. And for two others, home is a placeholder, a time keeper, a catalog of memories waiting to be recalled. From the city of Paris to the beaches of the Bahamas; from the inner workings of America’s best loved museum to an artistic collection of everyday items discovered in a humble house; from a Riviera retreat to an English garden… these are the six shining examples of people and places that tie together a universal and compelling need to identify our own environments. If you ever wanted to know all the nitty-gritty details of what’s it like to run a major museum than this is the book for you. On average, New York City’s Metropolitan Museum of Art welcomes about 19,000 people a day through its front doors and houses over 26,000 pieces in its collection. Told in interview style, Museum is a behind the scenes look at what it takes to keep one of the world’s most iconic landmarks up and running, day by day, from the perspective of 50 of its employees. Covering all aspects of the building, and a wide range of jobs from maintenance to security, cafe operations to curatorships, the executive board to the gift shop sales team, it doesn’t take long to understand what a massive undertaking is required to keep America’s most favorite museum running smoothly. Like most enterprises, the heart, soul and success of a business lies in the employees that represent it. And the Met is no different. Some people in this book lucked into their museum job having little experience, while others spent many years studying to become experts in their field. Others worked their way up from volunteer positions to eventually become part of upper level management and some were still just as happy fulfilling the same position they started decades ago. One thing they all have in common though, is their awe and appreciation of their workplace. To them, the Met serves as a refuge. A place that requires protection and support and endless amounts of attention. But not in that needy way that eventually grinds you down. To all these workers, the museum is majestic – an irreplaceable gift of history. Very aware of their own pivotal role inside the bustling metropolis that is the Met, what I loved most about this book was everyone’s sense of pride in their appointed tasks. The floor buffers hold just as much respect for their workplace as the director of the Museum. The information desk clerks are just as excited to chat about art as the tour guides. The cafe waitstaff is just as devoted to their kitchen counters as the collection curators are to their galleries. Everyone loves the Museum and wants to see it shine. Of course there are days when not everything goes right or runs in tip-top fashion and that gets discussed too. The highs and lows that come with real-life don’t stop at the museum doors, but for the people who work there, trivialities and minutia don’t hold a candle to the sheer magnificence of the place. Tucked in-between all these fresh voices, with their fresh perspectives are a plethora of fun facts and interesting details about how a museum really operates from the ground up. Sure, the Met is home to priceless pieces of art, but it is also home to thousands of workers who feel like they belong there too, just as much as the art. 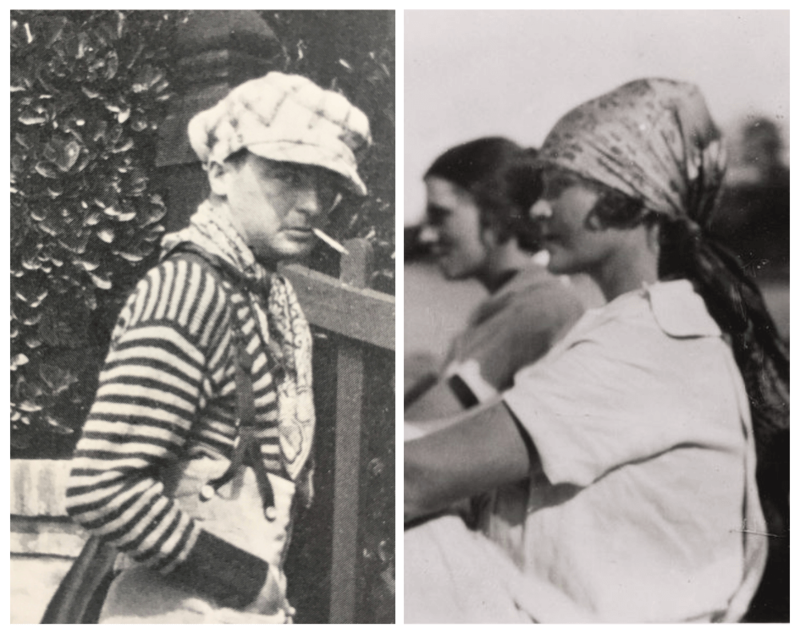 If there is one enviable couple that gets referenced most in the circle of friends that included Hadley and Ernest Hemingway, F. Scott and Zelda Fitzgerald, John Dos Passos, Pablo Picasso, Cole Porter, Dorothy Parker and many other icons of Paris’ golden age in the 1920’s and 30’s, it is Sara and Gerald Murphy. Mostly known for their stability within this eccentric group of writers and artists, Sara and Gerald were the enigmatic muses that inspired much of their friends work, including F. Scott’s main characters in Tender Is the Night. Fun loving, family focused and inventive, Sara and Gerald’s relationship within their marriage was stuff of legend – so loyal, so strong, so well-connected it seemed as if nothing could or would tear them apart. 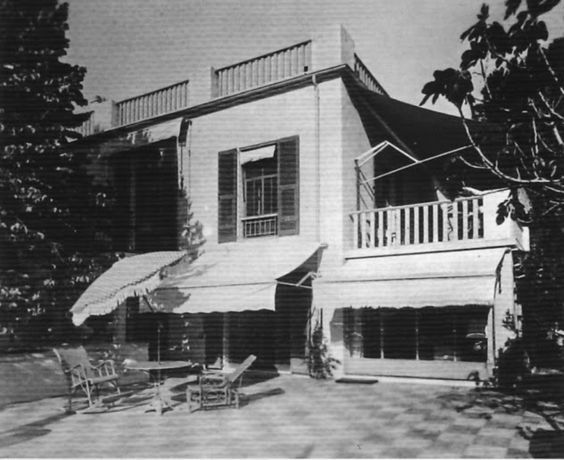 Escaping the U.S. for Paris in the early 1920’s led them eventually to the French Riviera and a house they called Villa America. There, the Murphy’s set out to create a carefree, whimsical paradise for their friends and family to enjoy year after year. Villa America (the book) is a fictional account of the real-life circumstances wrapped around the Murphy’s idyllic, dream-like lifestyle. Weaving together stories of illuminating dinner parties, interesting friendships, and fanciful family outings, a darker side to the Murphy’s and their circle of friends is also revealed. One that it is fraught with tragedy and misunderstandings, muddled moods and illicit intentions. Through it all, the house sits center stage, a witness to the people and events who come and go. What is particularly fascinating about this book is Liza Klaussmann’s interpretation of characters and conversations surrounding Ernest Hemingway and F. Scott Fitzgerald. Lots of known cliches and generalizations float around these two men – that F. Scott was dashing and amusing, a drinker and a romantic, and that Ernest was gregarious, rowdy and an ultra-masculine rough and tumbler. But in Liza’s book, you experience other sides of these two as well. F. Scott, for all his charming ways is also difficult, overly dramatic, and high-maintenance. Ernest shows up as a ball of opposites – egotistical but also compassionate, needy but reckless, dominating yet keenly aware of other people’s fragile vulnerabilities. The environment is lush with details. F. Scott is trying to write his way through novels, gathering source material for his characters from the real friends around him. Like all the other men, he finds himself captivated by Sara, irrepressibly drawn to her emotional maturity and warmth – both appealing characteristics that seem lacking in his own wife. Zelda, meanwhile, spends her days romping around the Riviera trying to sort through her own desires. Signs of unusual behavior start to manifest. But no one yet realizes that this troubling behavior has much less to do with Zelda’s natural personality and much more with the start of her slow slide into mental collapse. Likewise, Gerald also escapes into the recesses of his mind, where he begins to question and explore feelings about his own sexuality that extend far beyond his loving marriage to Sara. On the verge of break-up themselves – Ernest, with his wandering eyes and Hadley with her general sense of unease in the glittering Riviera world – are awkwardly together trying to navigate the terrain of a not very well matched marriage. Sara, sensing the unease of all of these situations silently swirling around her, tries to protect her friends and her family in the sheltered, safe space that she is determined to create at Villa America. But for all of Sara’s best efforts in trying to keep cruelty out of the compound, emotionally difficult situations sneak their way in raising questions about the true meaning of home, family and friendship. Staying on the topic of Paris but moving ahead a century, Paris I Love You But You’re Bringing Me Down is the memoir of a burnt-out New York City ad man who moves to France for a new job while simultaneously working on a new novel. Tired of the New York City grind, Rosecrans Baldwin is ready to find his paradise in Paris. He has a mood board already mandated for his life before he arrives… the wine, the food, the beautiful architecture, the beatnik lifestyle, the art, the cafes… all those lovely picturesque elements ready for the taking. But what he didn’t count on was what life would be like in reality as an American, not only living, but also working in France. From day one, Rosecrans is a fish out of water. He finds that daily life in Paris is very different compared to daily life in New York City. When he takes a job at a French advertising agency, he discovers that the same could be said for office culture as well. The language is a problem (too fast), social interactions with his new co-workers are a problem (do you shake hands during first meetings or kiss on both cheeks? ), lunch is a problem (never at your desk), even the fundamental pattern and processes of handling ad business is vastly different. 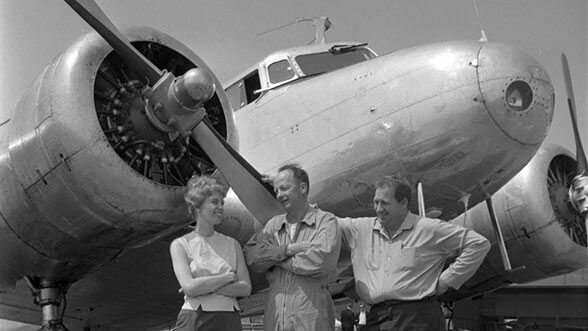 In New York, Rosecrans was used to working long pressure-filled hours, at a fast pace, developing ideas that had to consistently ring true and be brilliant. But when Rosecrans gets to Paris and his new workplace, he discovers many unusual circumstances. People leave the office at 5:00pm whether their work is finished or not. Many of the office staff grab a glass of wine together after work before heading home. Gift cards to local restaurants in the neighborhood are given to each employee to ensure that they take time for lunch. They work on one campaign at a time, for one client at a time. No one ever gets fired. No one is ever expected to come in early, skip lunch or stay late. It wasn’t like New York at all. No one lived at the office and just visited their home spaces. Rosecrans found himself navigating a strange, foreign land, both literally and figuratively. The result of all these oddities and differences yields a hilarious look at real-life in Paris. 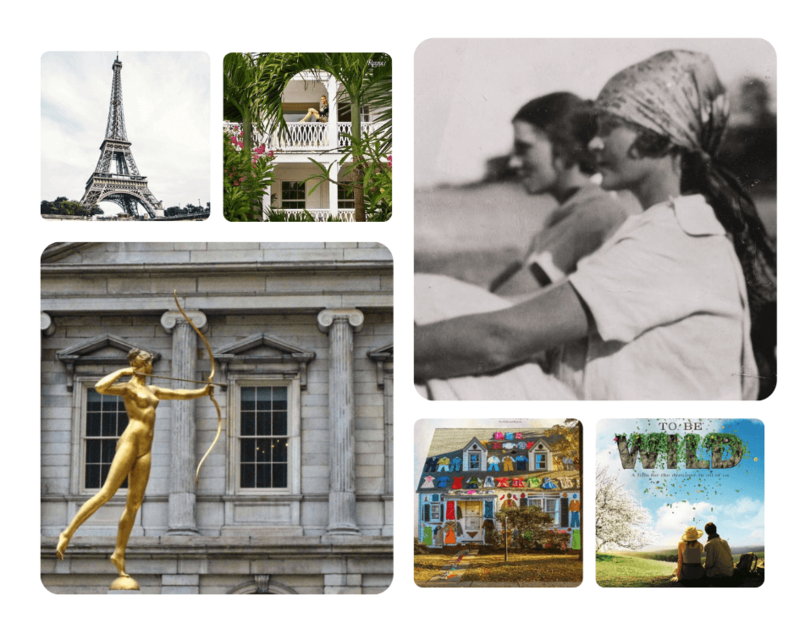 Most books written about Americans moving to France focus around their love affair with the city and a charming newly discovered lifestyle which they are eager to adapt quickly. Rosecrans’ book is the opposite. He voluntarily chose to move to Paris. But then, once he gets there, he constantly questions that choice as he moves through his daily “French dream.” He discovers that Paris is not quite the paradise he imagined. Fundamentally uncomfortable in a lifestyle he thought he would naturally love, Rosecrans paints a funny, bizarre and gritty picture of the everyday side of the city that often gets overlooked. In his world, it was definitely not all views of the Eiffel Tower and beret clad artists. It was not all joie de vivre and buckets of baguettes and walks along the Seine. No, this was a different side of Paris altogether. Being the daughter of famous 20th century British designer David Hicks and the goddaughter of Prince Charles might yield an intimidating presence. Especially when her natural born talent of interior decorating has made her a style expert in her own right. But nothing feels more down to earth when it comes to India Hicks and her beautifully bohemian decorating book simply titled Island Style. 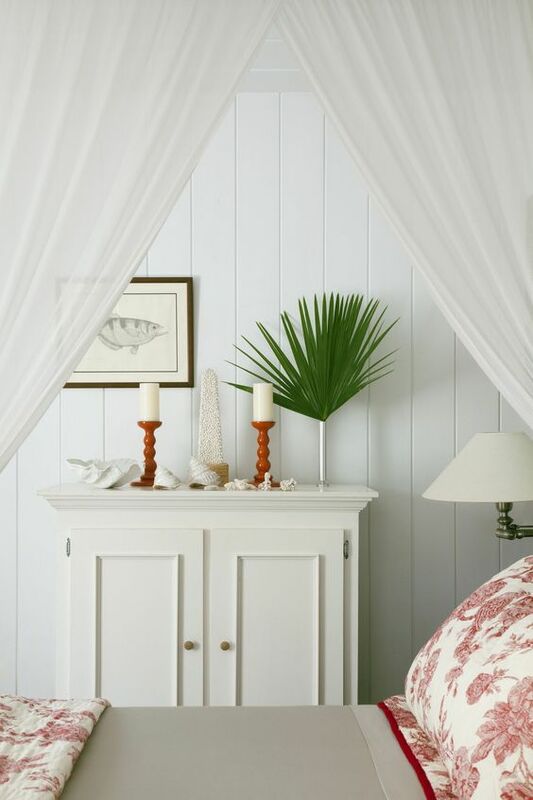 Here, she shares stories about how, over time, she decorated her comfortable, casual Bahamian home, with a cacophony of elements meant to inspire more than impress. Decades ago, a whim led her to the Bahamas, a place she never imagined that she would eventually call home. One thing led to another, years passed years, and India found herself still there. In these pages, she shares the journey that led ultimately to her island house, a sanctuary of memories she shares with her long-time partner, their five children and a menagerie of animals. India intimately discusses at length the art of decorating with sentiment versus cents and the importance of letting your interiors evolve in style as you evolve in life. If something catches your eye or calls to your heart, take it home, she advises, there will be a place for it somewhere, always. Thoughtful decorating, India illustrates, comes from storytelling. From gathering and displaying items that are important to you. This leads to personality-filled rooms and fresh perspectives. They become meaningful, nuanced, comfortable, appealing because the backstory was brought in, in the form of a tale you naturally wanted to tell. That’s when the magic happens… easily… effortlessly… style and colors and shapes and patterns combine in interesting ways that begin to inspire, remind, emote and invoke a feeling of home. Mixed in between interior images of her house and collections, she writes beautifully about what it is like to live on an island in the Bahamas, well beyond the honeymoon phase. A period that in her experience lasted about two weeks, before practicality and reality set-in as far as setting up a real life with real kids, and real pets in a real house. Island life isn’t for everyone. The point of this book wasn’t to seduce readers with a show-off lifestyle and a get-here-as-fast-as-you-can attitude. The point was to simply demonstrate the impact of personal touch and taste upon a space. The world is noisy but our interiors don’t have to be. Home is no place for a set of trends established by other people, living other lives in other places. Home is you not them. It speaks for us and of us when we don’t want to speak ourselves. India’s book reminds us of that. For over 60 years, Annette Ontell lived in this cute, white house at 306 Hollywood Avenue. There, she amassed all the ordinary tidbits that was required of daily life in New Jersey throughout six decades. When she passed away, her grandchildren, brother and sister filmmakers Elan and Jonathon Bogarin felt the weight of her spirit still very much present in all the stuff she left behind. So they set out to tell her story. Color-coded collections of Annette’s things. 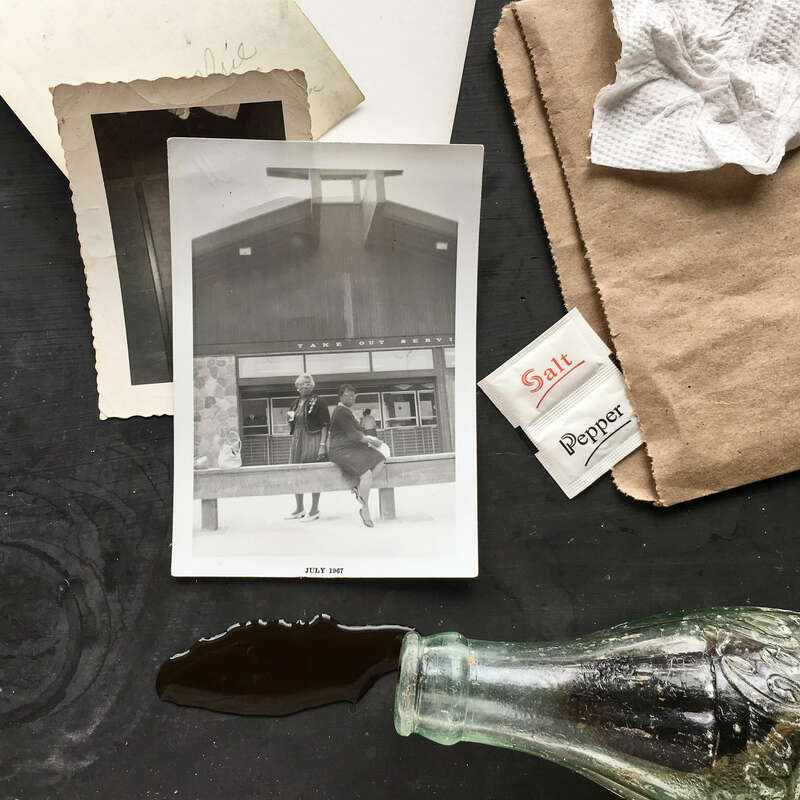 Through a style of art known as knolling, they organize and catalog her collection of ordinary household objects into groupings, to better understand what these objects meant to her life and ultimately what her life meant to them. Combining home movie footage, audio interviews and dynamic cinematography, Annette comes to life before our eyes. 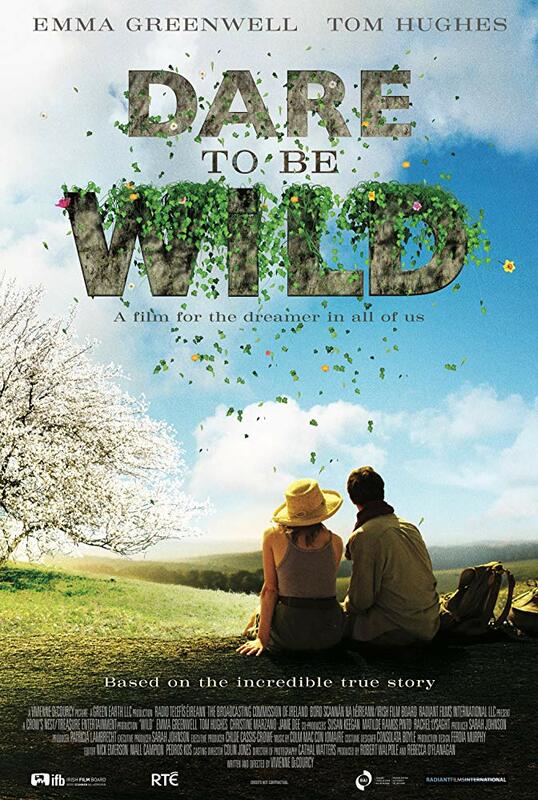 Based on the true story of Mary Reynolds, the youngest woman ever to compete in the esteemed Chelsea Flower Show, Dare to Be Wild is the cinematic story of the journey that led her from dreamer to doer. From the start of her budding career (no pun intended!) Mary’s clients and employers want her to design gardenscapes within an acceptable box of sameness. But Mary has other ideas, wild ones, that don’t confine nature or ideas into typical proven displays that can be replicated over and over again. Mary is keen on harnessing a feeling of home and harmony in her garden designs – a certain sense of wonder and enchantment that she has felt her whole life whenever she steps out into the natural world. But the Chelsea Flower Show is no easy quest. Paperwork, rules, formalities and finances tie her down at every turn. Her competitors are an intimidating array of past award winners, esteemed gardeners and British royalty. For every step forward, she winds up taking two steps back. Her journey is not easy on so many fronts, you begin to wonder if her plot of ground at the Flower Show is ever going to grow into the vision inside her head. But through all the uncertainty Mary stays true to the sounds that call her home… the wind rustling in the trees, the birds bright with song, the soothing noise of tall grass sweeping against stone. Beautifully filmed and truly inspiring from the first five minutes, Dare to be Wild is a wonderful example of how the notion of home doesn’t have to be defined by typical, sedentary structures. Home is a feeling as much as it is a place. Hope these selections have you thinking about your definitions of home and how’d you best describe it. Feel free to share your thoughts in the comments section below. And if you wind up reading or watching any of these books or movies, let us know. We’d love to keep these discussion going throughout the year. Cheers to the word home and to all the places we call our own! Lots of notable things were happening in July of 1967. At the beginning of the month, this song by the Beatles debuted in London and then 2 weeks later in the U.S…. An ancient city dating back to 1628 BC was discovered in Greece. Race riots broke out in New Jersey, Minnesota, Michigan and Wisconsin and a sink hole swallowed two houses in Oklahoma. 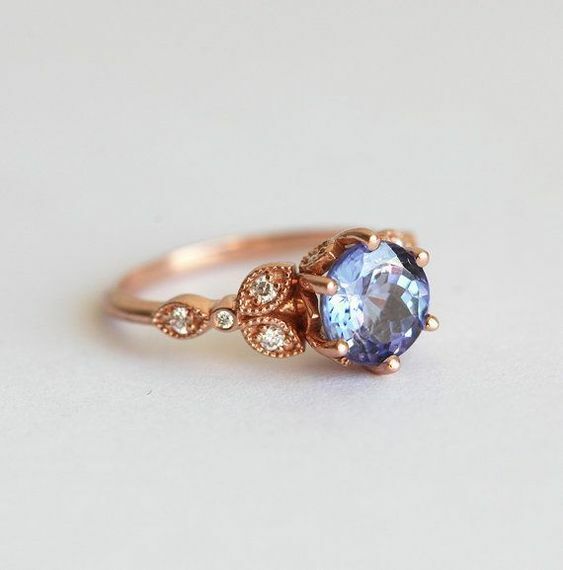 Tanzanite’s beautiful blue color can only be found in one place in the entire world – in the immediate area of Mt. Kilimanjaro. 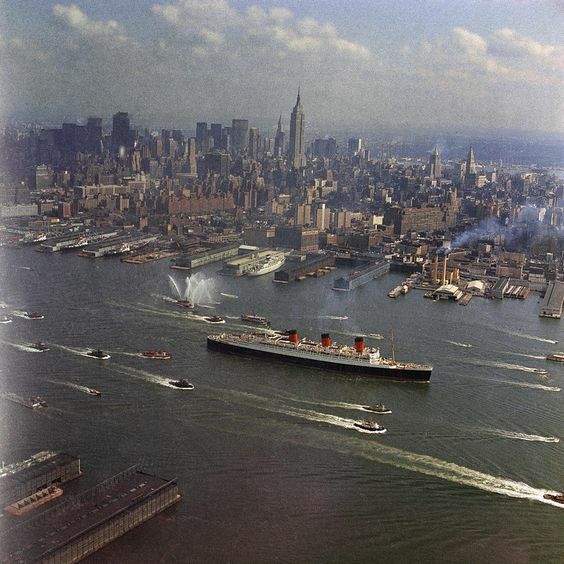 and the famous ocean liner, the Queen Mary, was sold to the highest bidder for transformation into a luxury hotel. …which brings us to our mystery. If you are a regular reader of the blog, you know that we always love to explore a good vintage puzzle around here. 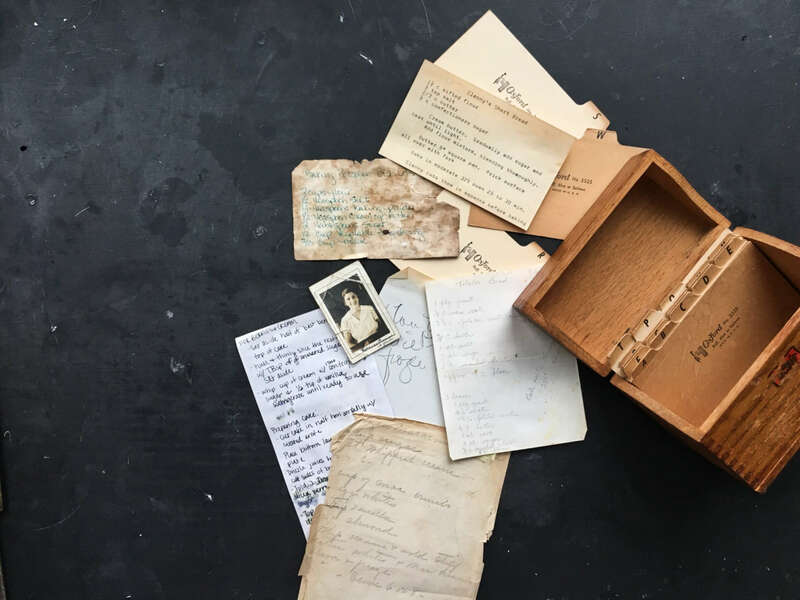 Whether we are trying to translate the characters on a vintage Chinese mug or figure out the author and era of an old note scrawled on White House letterhead, it is these these types of curious mysteries from history that always inspire us. Today’s puzzle focuses on questions about this 1967 photograph, specifically the restaurant in the background. 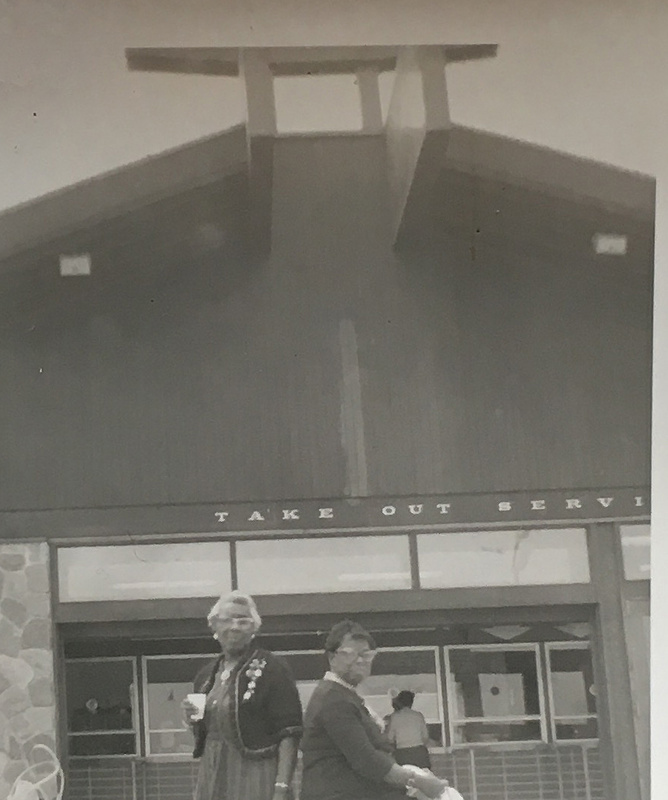 We’d like to find out the name of it, its location and the significance of the glass panel partitions between customer and employee, which was a somewhat unusual feature for takeout restaurants of the time period. Was it part of the segregated South or just a style of architecture? 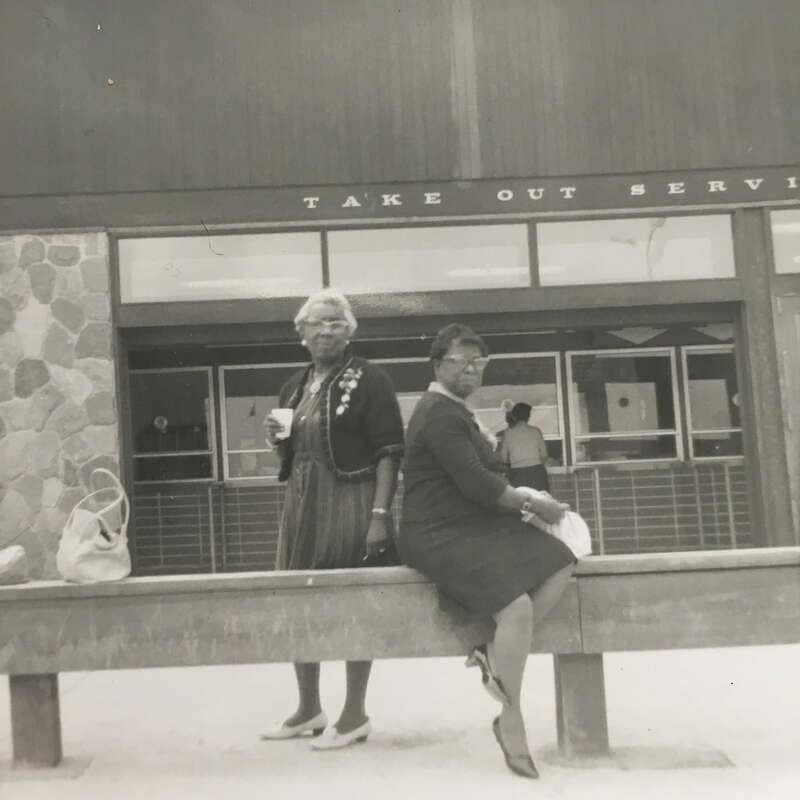 Were these two women, in their pretty cat eye glasses and high-heeled shoes, simply stopping for a bite to eat or were they making a statement similar to the lunch counter sit-in crew at Woolworth’s? Are the answers in their faces as to how they were treated or were they just hungry and a tiny bit exasperated by a photographer friend insistent on capturing the moment? These are the questions swirling around this mighty but mini photograph from fifty years ago. 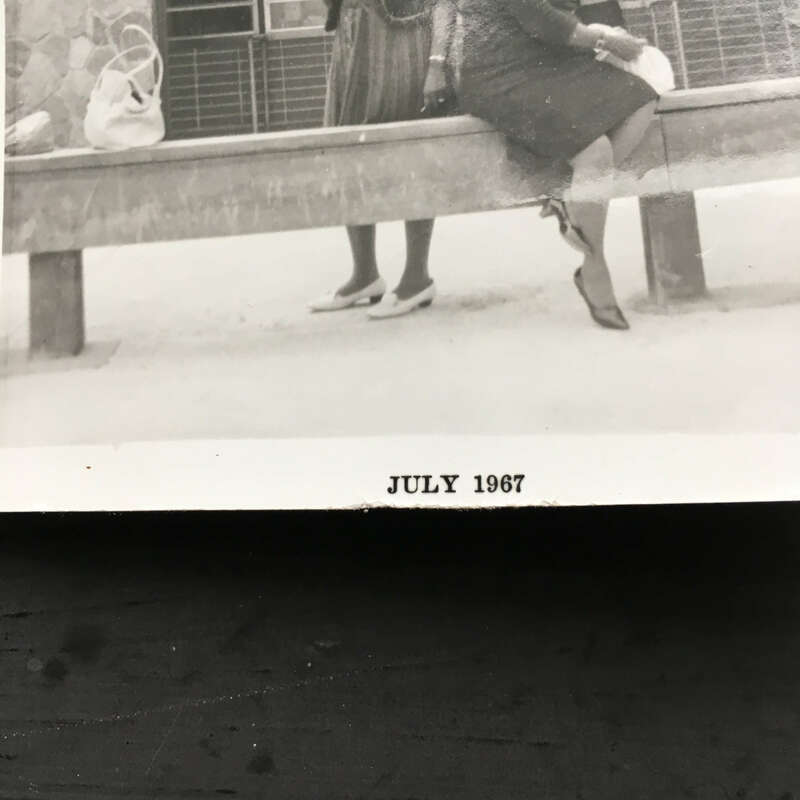 It was found last week at an antique store in Nashville buried in a box full of random photographs that included a wide assortment of people, places and nationalities from around the world. There are no notes on the back. The only true identifying mark on the front is the date stamp of July 1967. First speculations brought to mind were that this was possibly a scene from a drive-up motor lodge (something along the lines of a Howard Johnson’s) or a bus station depot (with the option of eating inside or outside). So we will start down those avenues first and see where our theories lead us. As the puzzle begins to unravel clue by clue – we’ll keep you posted as to what we discover. In the meantime, please feel free to weigh in with your theories below in the comments section too. Especially if you happen to recognize the style of building, the sign font or perhaps even the ladies themselves. Cheers to a good mystery! And cheers to these two ladies, for providing us with a glimpse into the world of 1960’s take out. In 1965, when James Beard published his new cookbook, Menus for Entertaining, he had one thing in mind… generosity. 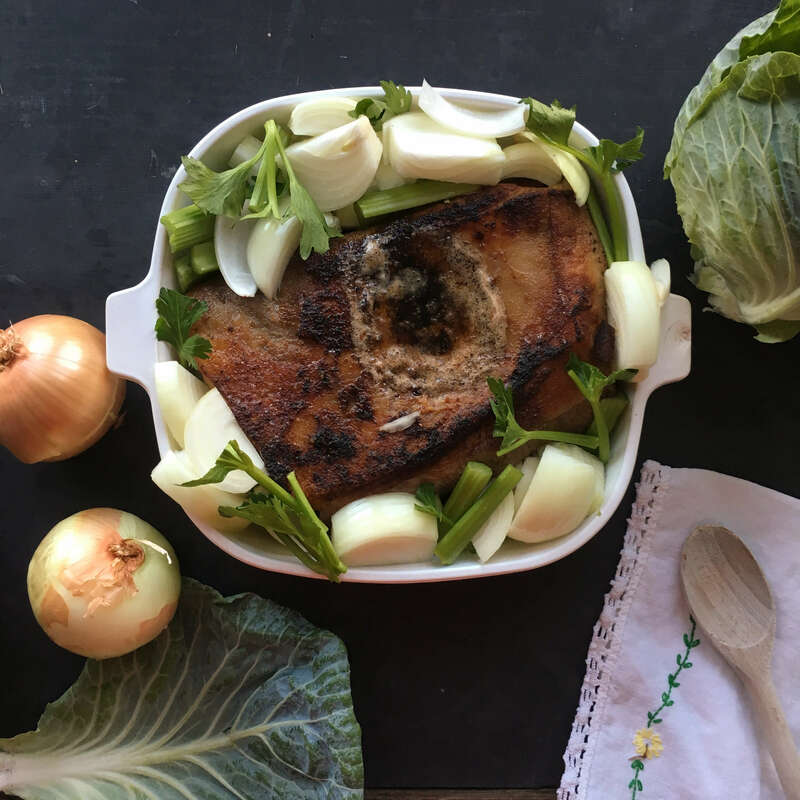 Unlike his 14 cookbooks published previously, all of which taught readers how to prepare good food, this one focused on the largehearted act of cooking for other people. 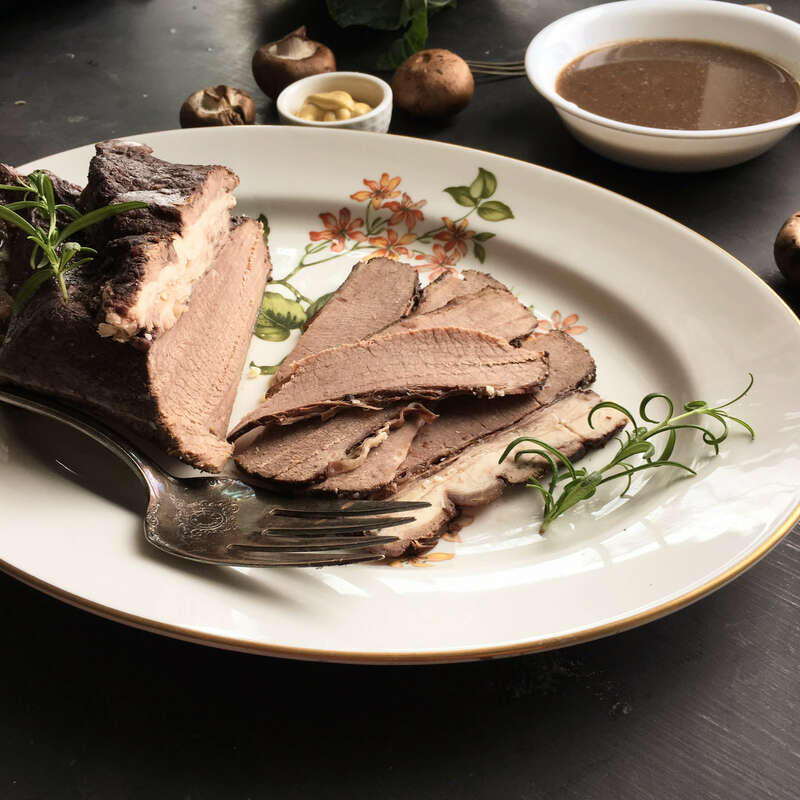 A subtle change from his more tutorial-style instruction favored in earlier cookbooks, this one captured an idealized, ethereal expression of how to combine the art of being a good cook with the art of being a thoughtful host. Two concepts that, surprisingly, don’t always meet up in the race to put a good meal on the table. There are lots of elements that can inspire one to cook. 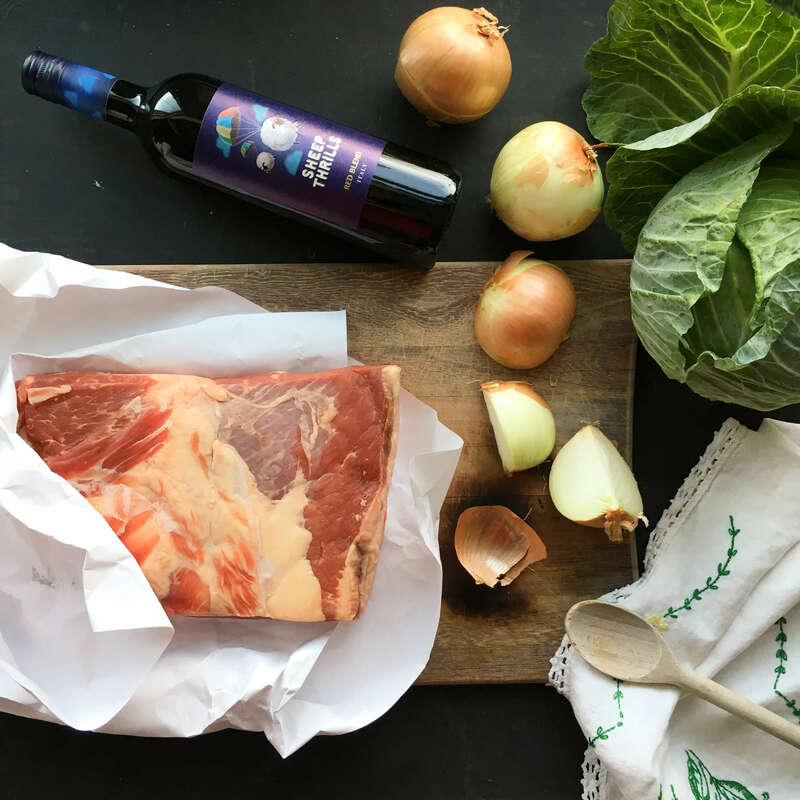 Maybe it’s a particular ingredient or a time constraint, a season or a health reason, the weather or a garden, a particular holiday or a memory, a special piece of cooking equipment or a celebratory event. And there are lots of fundamental reasons to prepare a meal: to satiate, to learn, to nourish, to educate, to create, to boast. 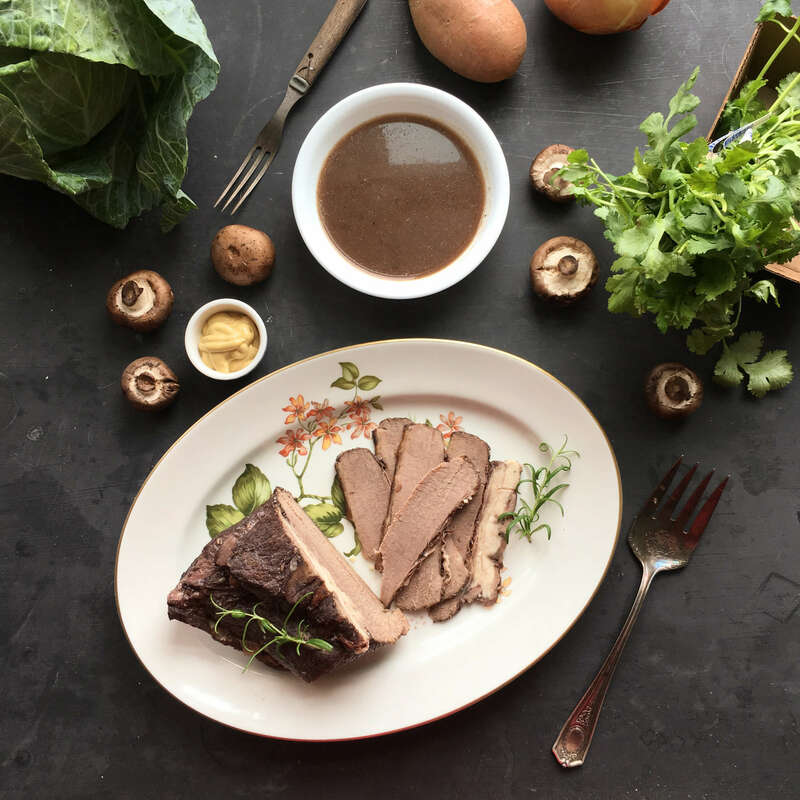 In James’ case, in this cookbook, his inspiration was people and his reason was gratitude. 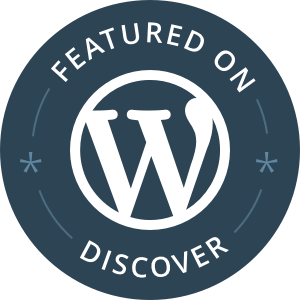 “There is no greater reward than pleasing your audience,” James shares in the introduction. 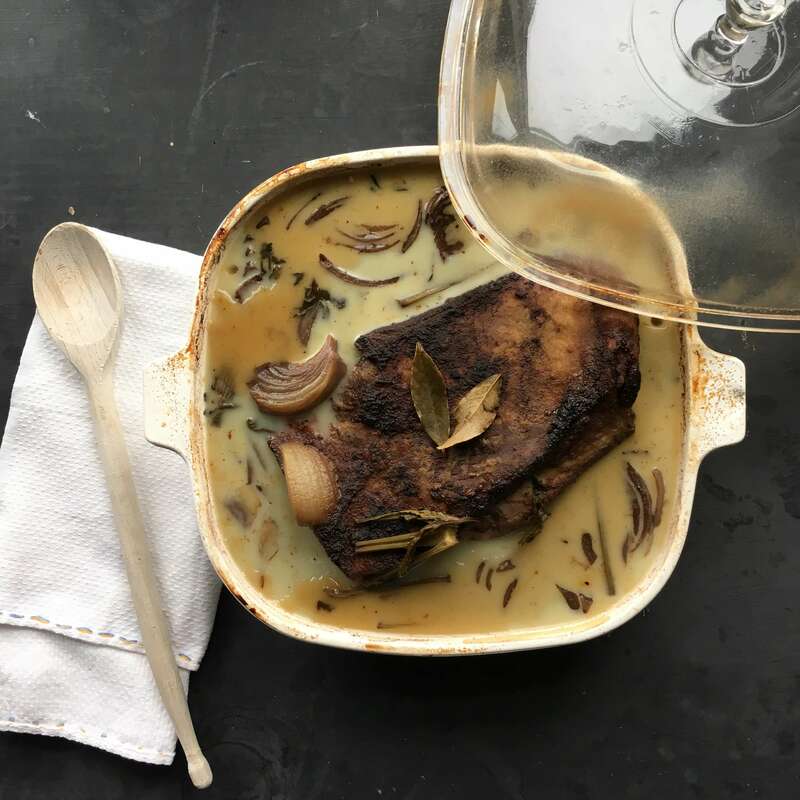 His cookbook was not only about preparing something delicious, it was also about spoiling his guests, about indulging the valuable time spent together, and about presenting a thoughtful, custom dining experience. Like a play or a live performance, this type of entertaining is a nuanced event. Something wrapped around food and friendship equally. To James it meant paying as much attention to what you were serving as to whom you were serving and why. 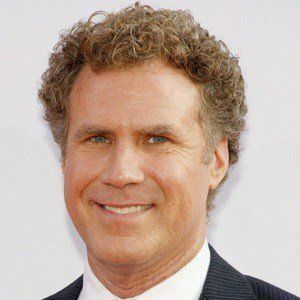 For example, if James wanted to throw a dinner party and wanted to include a certain guest whom he knew was on a diet, he would plan a light and low calorie menu for the night, making sure that it didn’t skimp on flavor but was fully satisfying for everyone, dieters or not, without being calorie heavy. 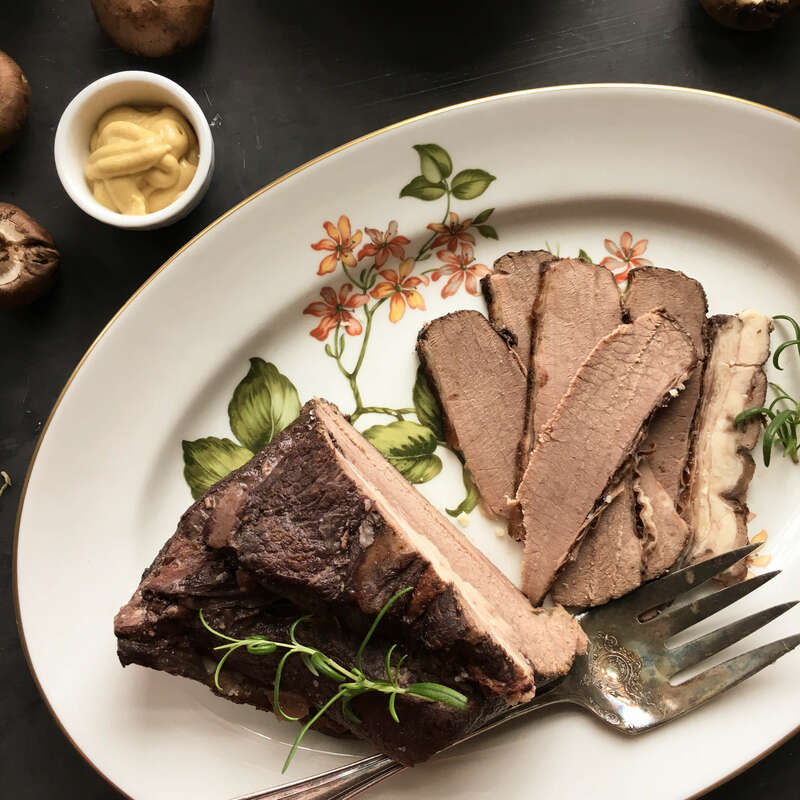 Or if he had a friend who longed to travel to Germany but couldn’t afford the plane ticket, James would plan a whole dinner party around German foods from start to finish complete with music and wine and Bavarian-style decorations. By putting focus on this German lover’s interests, it was his thoughtful way of acknowledging, satiating and celebrating his friend’s wanderlust. 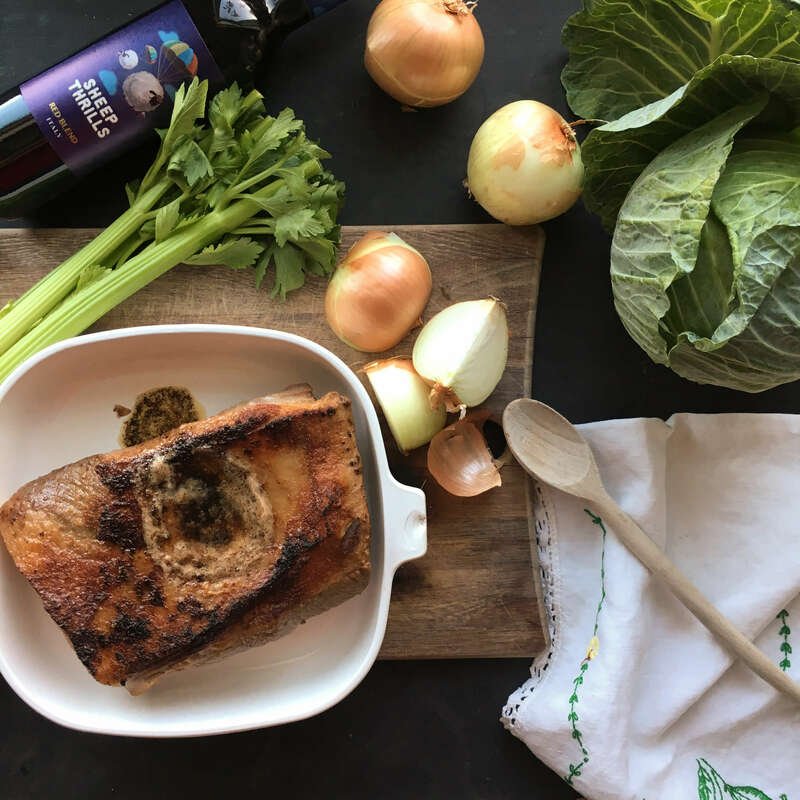 This idea of unselfishly cooking for other people in an effort to please them and care for them is a notion that really hit home these past dozen weeks while I’ve been away from the blog. I spent the time in Florida, in and and out of the hospital with my sick dad as he fought hard through infections and medical procedures, rehab and rest. While I was there, I was overwhelmed by the love and support that people showed my family through gifts of food. 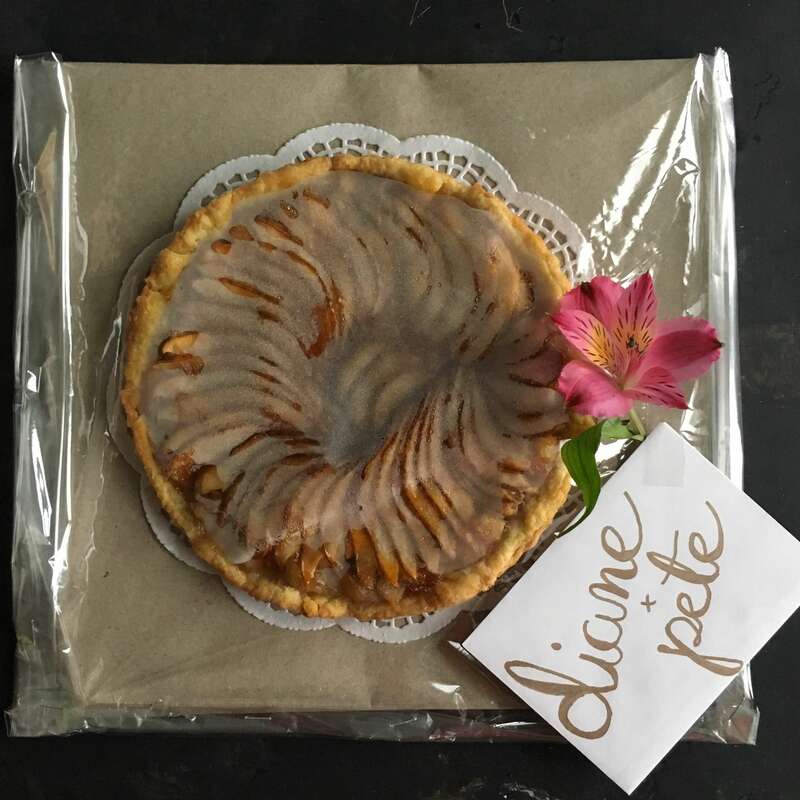 From the vendor at the farmers market who tucked extra pastries into our packages, to neighbors who stocked the fridge with homemade meals, to family friends who stopped by with treats in their hands and empathy in their hearts, it was these thoughtful gestures of kindness that helped sustain and support our spirits during a daunting time. 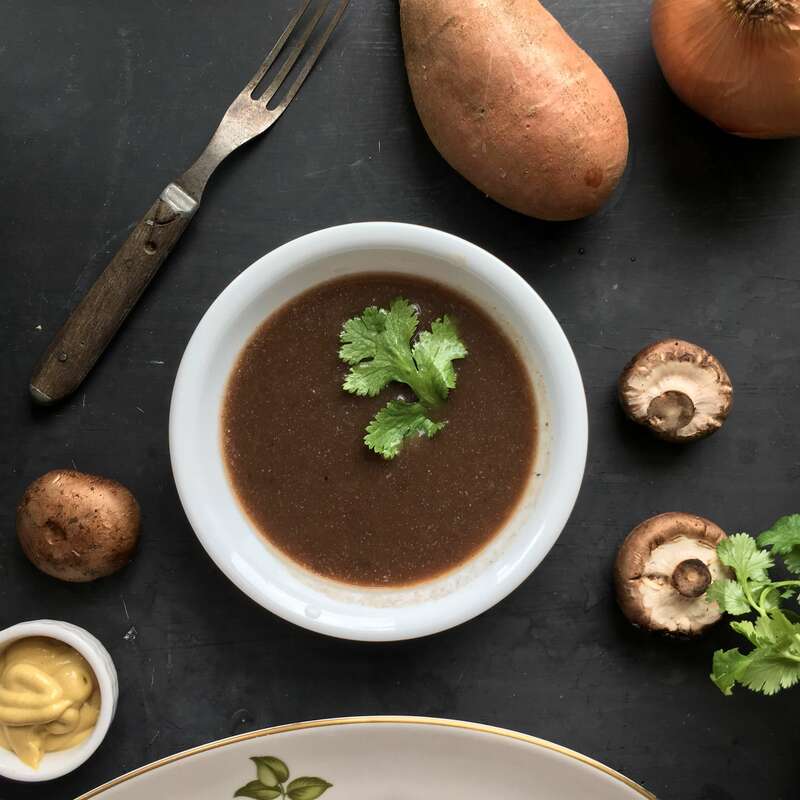 Like James suggests in his book, cooking is one of the kindest, most fundamental things that you can do for another person, so you might as well throw your heart into it and fill the effort with joy and passion. 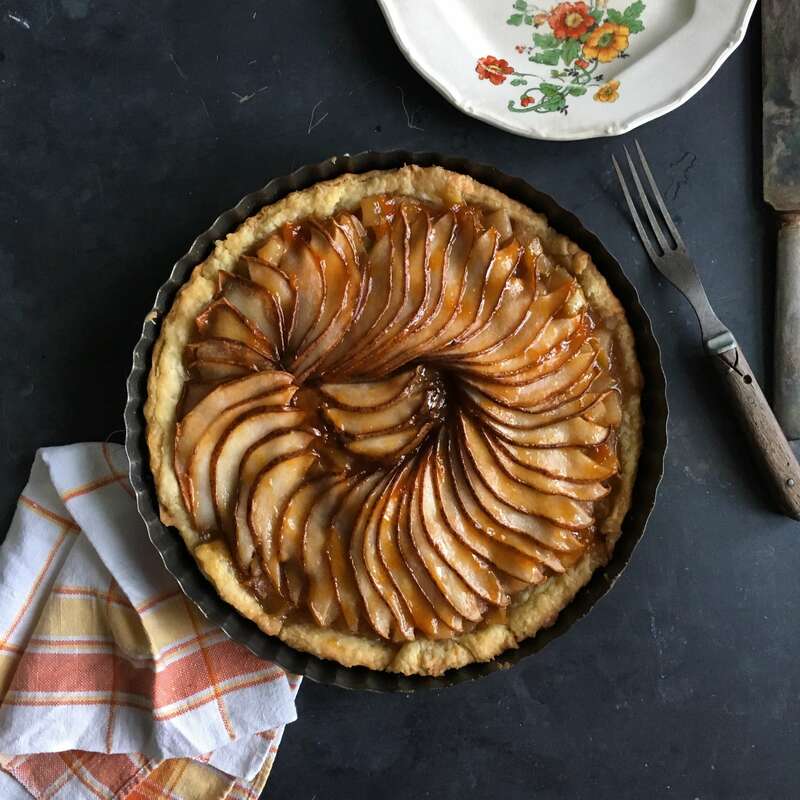 On Friday over on Instagram, I posted a picture of this homemade pear tart which was made with the Rich Pastry Dough recipe from James’ 1965 cookbook. This was a thank you food parcel too. A gift for my friend, Diane, who shared her vintage cookbook collection with me while she was packing up to move. Like James in 1965, and the wonderful people in Florida in 2019, I wanted to thank her for her kindness with a homemade dessert. One that could be easily kept and consumed over the weekend while she moved from one house to another. I wanted to make something for her that could be eaten on the run for breakfast or enjoyed by slice or sliver late in the afternoon when the moving boxes might seem endless and energy levels might be in need of a boost. Either way, tarts are very accommodating in that department. They travel well in the car, can sit on the counter all day, and can be eaten, provincial style without any need for plates and forks. Whether you make this for yourself or as a gift for someone else in your life, I hope you enjoy every part of the process of making it and presenting it. That’s what James would have wanted and what he hoped for when creating his cookbook so many decades ago. Make a well in the center of the flour. Add sugar; butter, not too hard, not too soft, cut in small pieces; vegetable shortening cut in small pieces; lemon rind; eggs and salt. 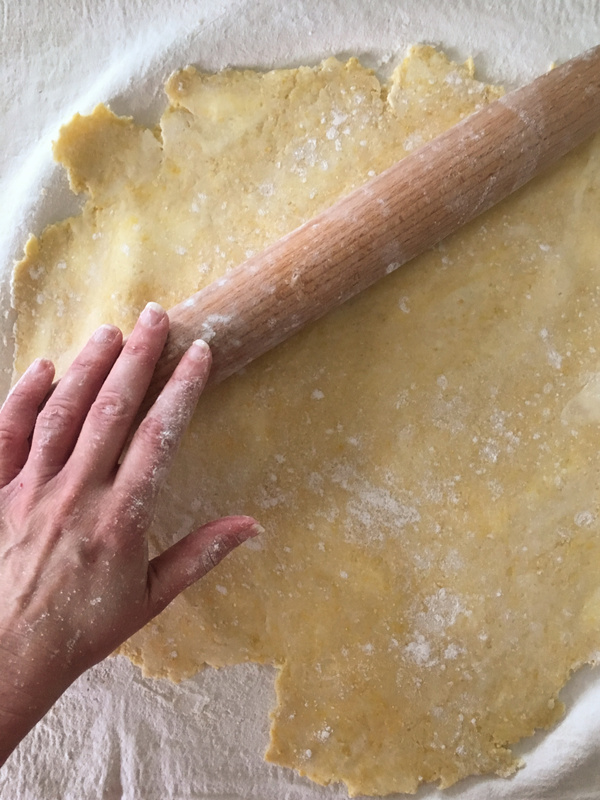 Work quickly with finger tips to make a smooth, firm pastry. Dough should form a ball and leave tabletop or bowl fairly clean. Chill dough ball in the fridge for at least 30 minutes before rolling. Remove dough ball from fridge. Cut in half. Roll out one half of the dough on a floured work surface. Transfer rolled dough to tart tin and remove excess dough from the sides. Using a fork prick the dough all over the bottom and sides. Chill unbaked tart shell in pan in the freezer for 2 hours. After two hours, remove tart pan from freezer and place immediately in a hot 450 degree oven for 10 minutes to pre-bake. Remove from oven and let cool in pan on a wire rack while you assemble the filling. Leaving the skins on, dice two of the pears into quarter inch pieces. Add them to a small saucepan along with the butter, vanilla, cinnamon, white wine, salt, 2 tablespoons sugar and nutmeg and bring to a boil. 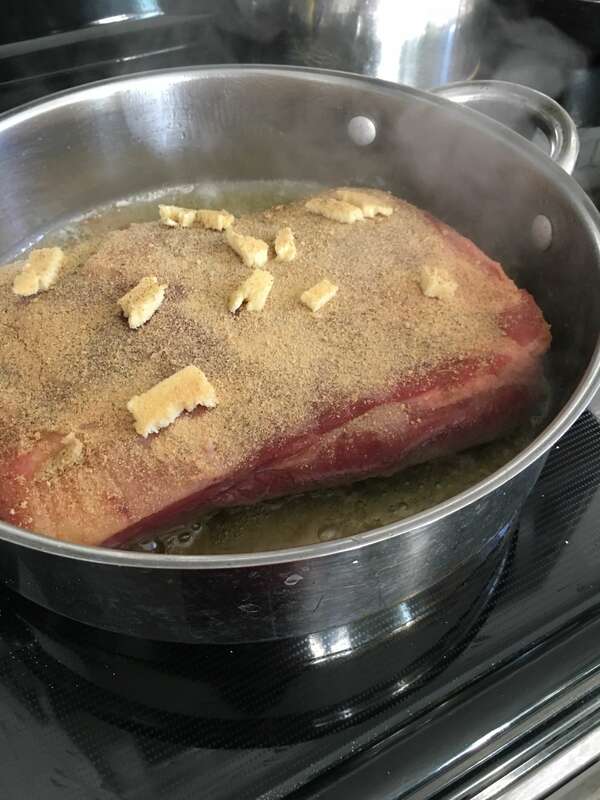 Reduce heat and let simmer until most of the liquid is evaporated (forming a consistency close to thick and chunky applesauce). Remove from heat. Let cool. While filling is cooling cut the remaining two pears in half. Then lay them cut side down on a cutting board and carefully slice them vertically into paper-thin slices. Spread the filling evenly into the pre-baked tart dough. Arrange the pear slices in a circular fashion on top of the filling. 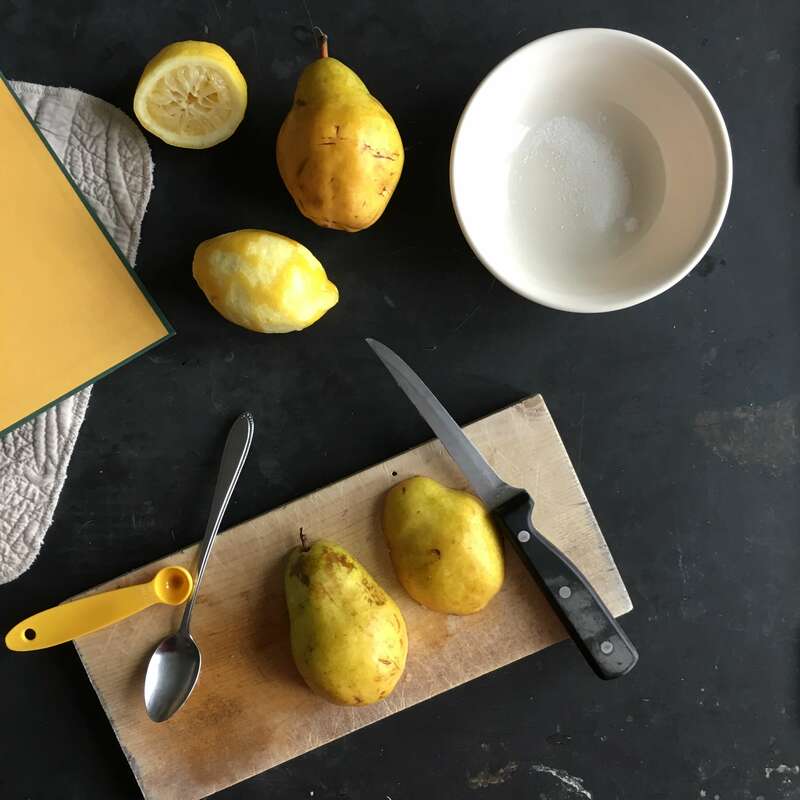 Squeeze lemon juice over the pear slices and sprinkle with 2 tablespoons cane sugar. Bake in a 350 degree oven for 30 minutes or until pears and crust are lightly brown on top. Remove from oven. Spread a thin layer of apricot jam over the entire tart and let cool to room temperature. 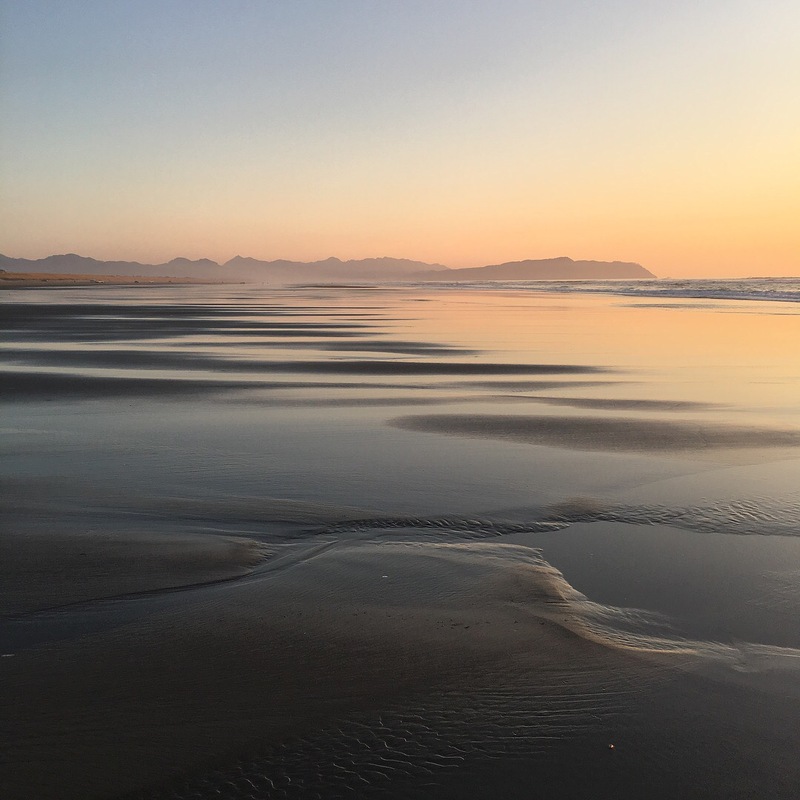 Last November, my husband and I traveled through Gearhart, OR where James Beard grew up, spent childhood summers and eventually after a long and hardy life, became the final resting place for his ashes. We were hoping to see a glimpse of his life in town. Perhaps a restaurant named after him or his childhood house now a monument to visit. But there were no obvious signs. There was just a big stretch of beautiful ocean and the sound of the sea. Maybe that summed up his impact on the 20th century food scene best… a massive presence that still ripples through our modern days making us feel inspired, and impressed, soothed and comforted. Cheers to James Beard, to good friends and to thoughtful food! 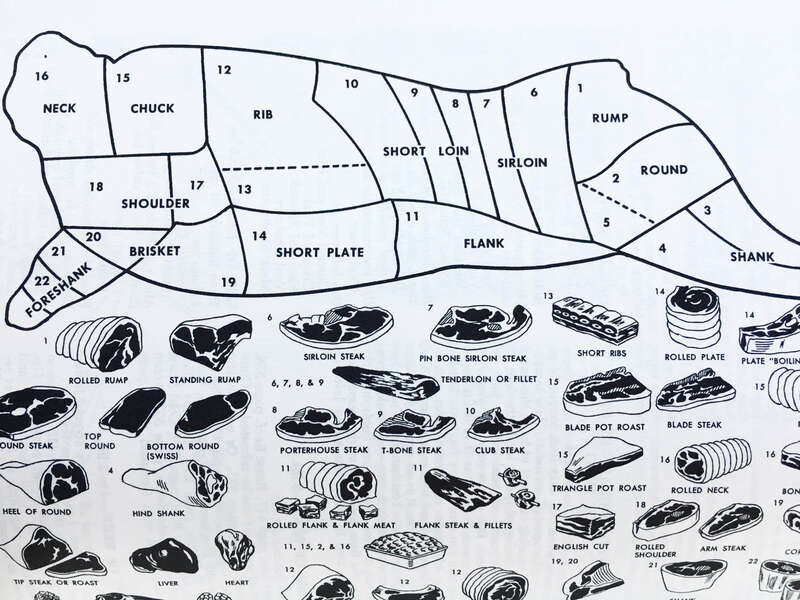 Interested in learning more about James Beard? Discover a few of his cookbooks, including Menus for Entertaining, in the shop here, here and here. Agnes White Tizard, the voice of Betty Crocker on Betty Crocker’s Cooking School of the Air taught listeners how to cook for 20 years. Read more about her here. Very reliable sources for sure, those options would have definitely produced a delicious, time-tested cake that everyone enjoyed, and had been enjoying for years and years. But none of those options would have been able to show you how to make something new and innovative. 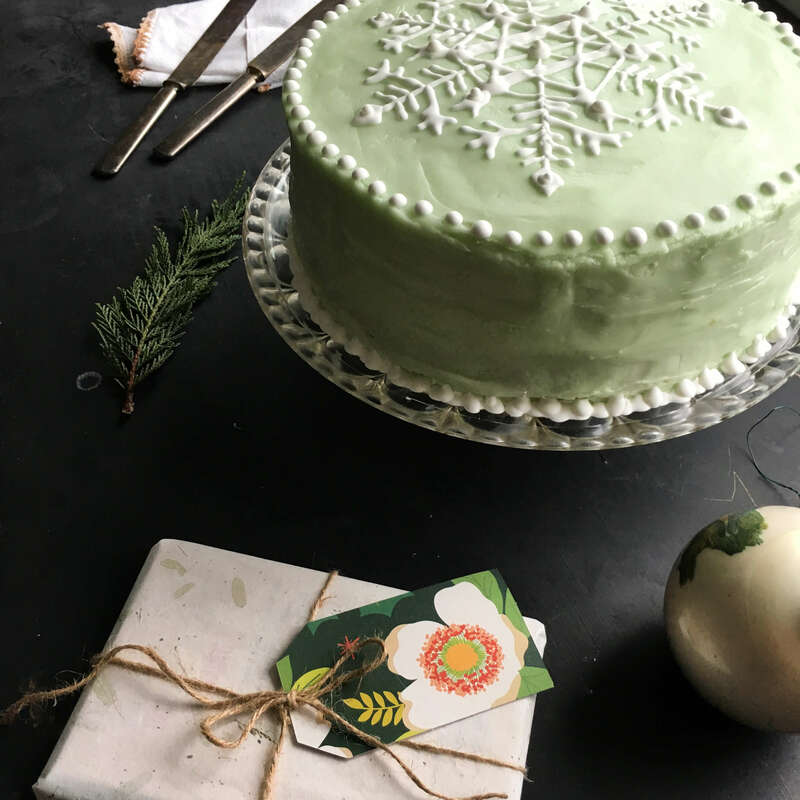 For that you would have had to go to Chicago – to the Wilton School of Cake Decorating, where you’d get expert hands-on-training on how to make the most pretty and modern cake of the holiday season. Started in 1929 by confectionery artist Dewey McKinley Wilton, the Wilton School first taught classes to area pastry chefs in the hotel industry. Dewey had a special relationship with these guys in particular. As a traveling pulled sugar expert, Dewey would show up in hotel kitchens around the Midwest when the pastry chefs needed an extra bit of magnificence to wow their hotel guests. 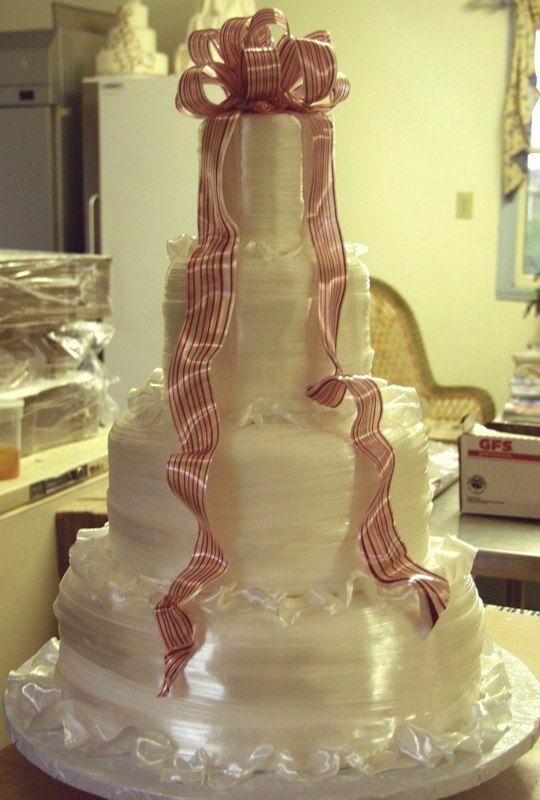 An example of pulled sugar ribbons atop a modern day cake. This is the type of work Dewey did for area hotels in the 1920’s. Photo via pinterest. Most of these pastry chefs were wonders themselves in the cake baking department, having been trained in Europe, and were very proficient with a frosting knife and lofty buttery layers. 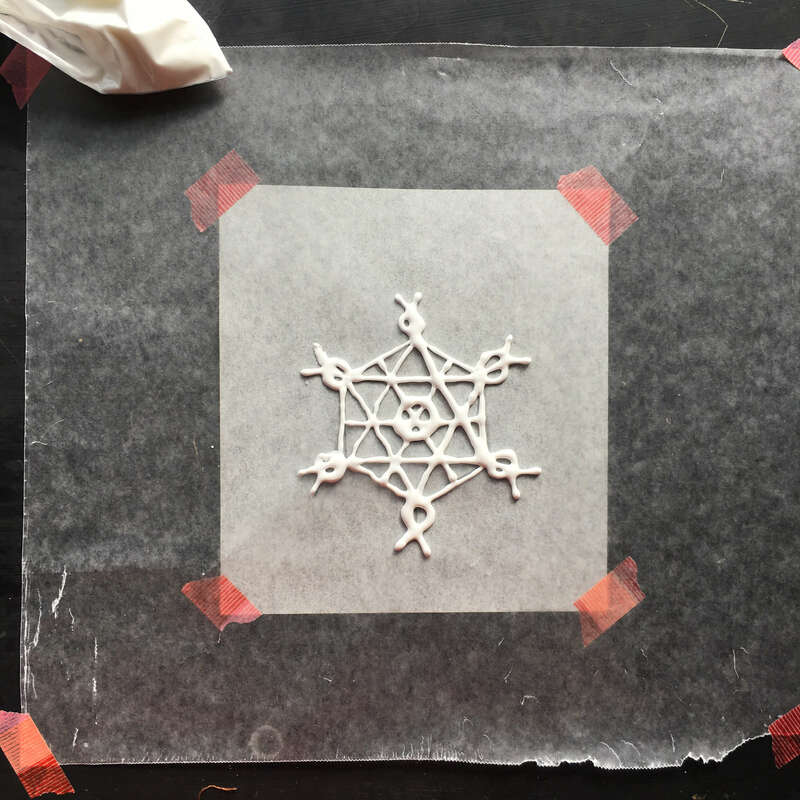 But they weren’t quite as familiar with Dewey’s flair for pulling sugar into hardened shapes and intricate designs. Quite curious, they wanted to know about techniques, about processes, about possibilities. And most importantly, all these pastry chefs wanted to know how exactly a pot of boiling melted sugar could eventually turn into a big, brilliant ribbon or a bird or a crunchy piece of abstract art. Dewey was more than happy to share what he knew, but after so many pastry chefs in so many hotels kept asking so many of the same questions over and over again, his entrepreneurial spirit kicked in. Instead of telling each chef, one by one, how pulled sugar was done, he realized he needed to be teaching one class geared towards many minds. So that’s what he did. 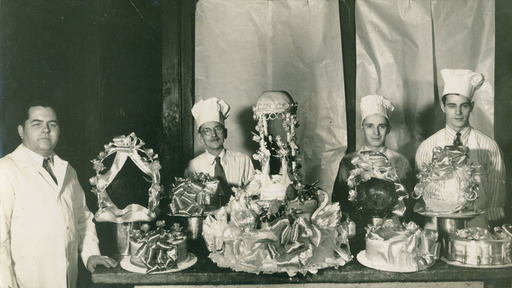 He started the Wilton School of Cake Decorating in the dining room of his house in 1929 and charged $25 a class for an expert lesson on how to pull sugar and make hard candies. The class filled up in a jiffy. 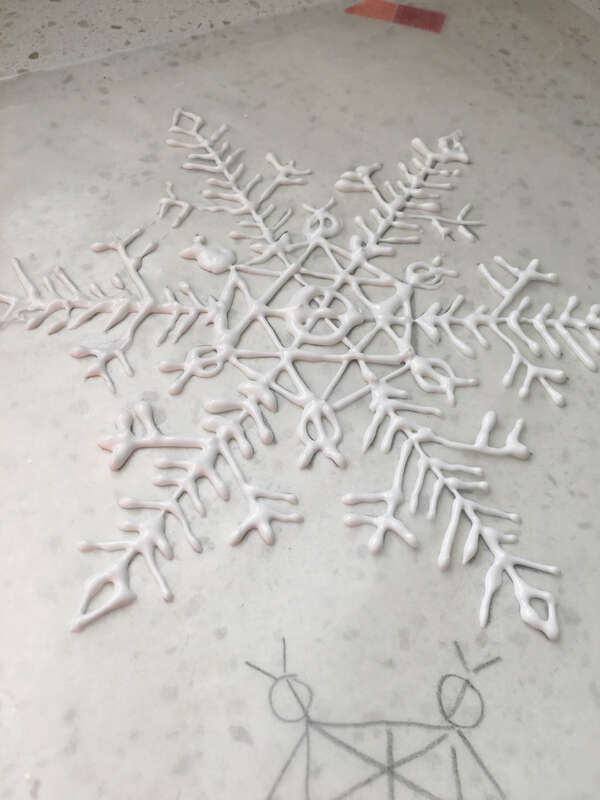 Nothing excites a pastry chef more than a newfangled way to decorate a sweet treat, and in all that sugary merry making of the new School there was plenty of learning going on. 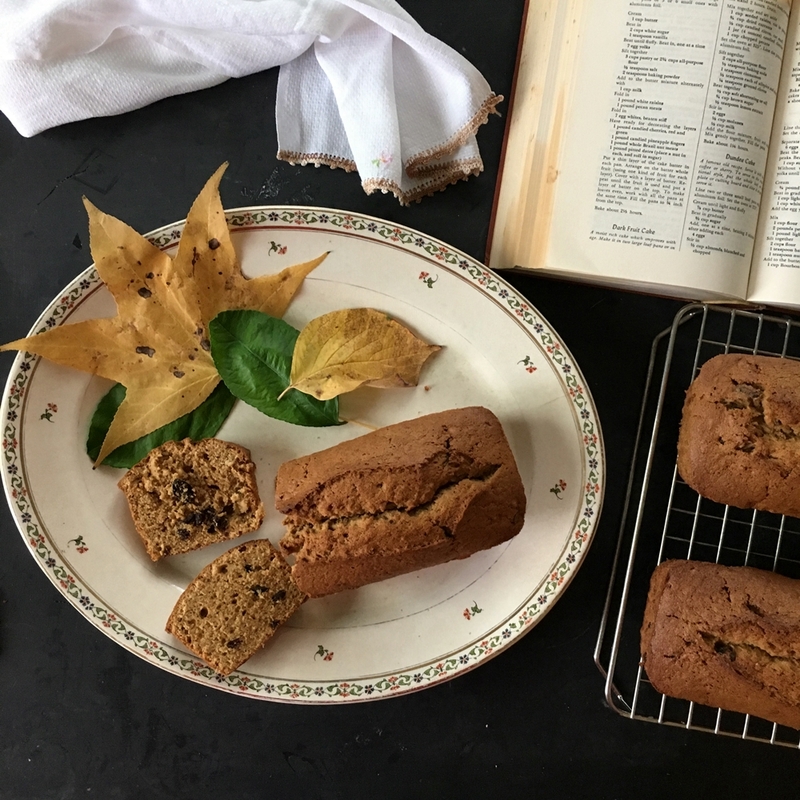 While Dewey was teaching his students, he was also learning about their classical European ways to bake, frost and assemble cakes in eye-catching ways. An image from the early years of the Wilton School of Cake Decorating. Soon word spread beyond the pastry chef community. The school was fun and informative and produced the most spectacular and delicious cakes the Midwest had ever experienced. 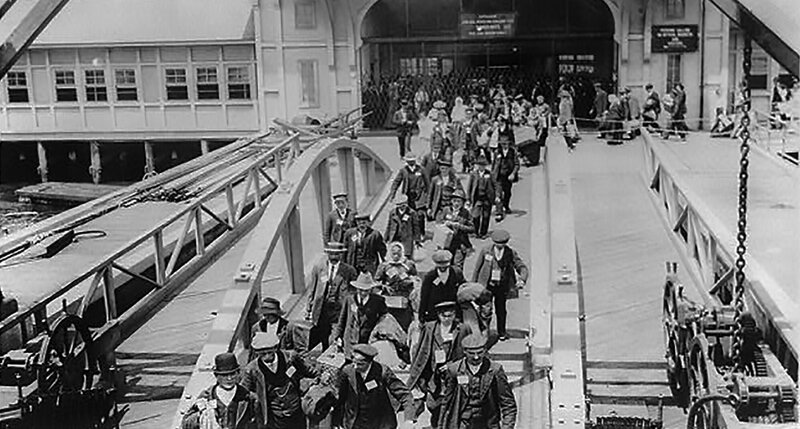 People started arriving for instruction from other towns beyond Chicago, and then other states beyond Illinois. 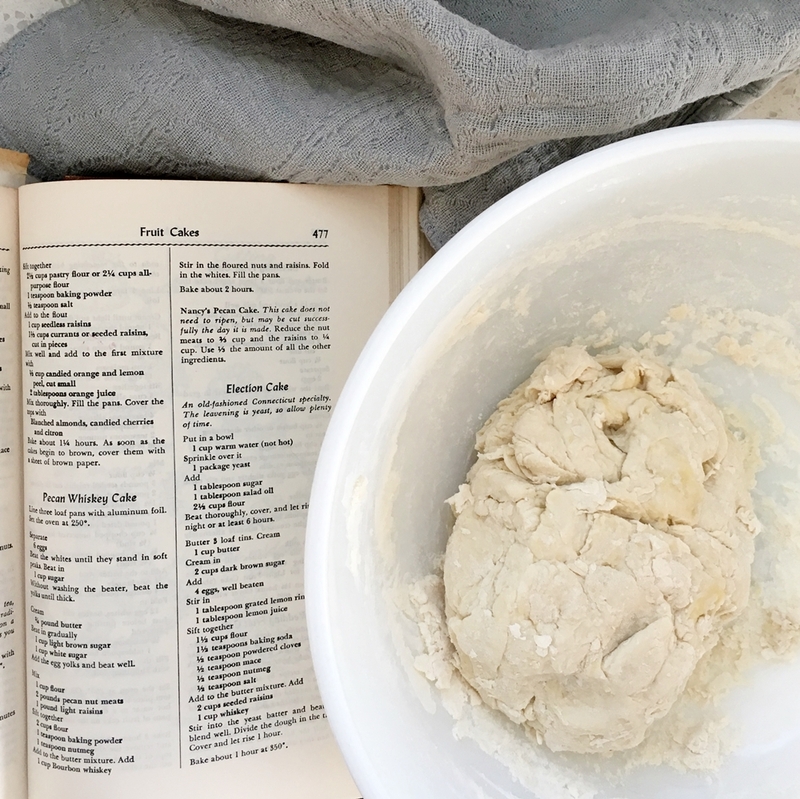 Home cooks, caterers, food economists and restaurant owners were clamoring to learn Dewey’s special way with cakes – a method he wound up calling the Wilton Way – which combined the best parts of European baking with simple easy-to-replicate American designs. Now getting ready to celebrate its 100th birthday in a few short years, The Wilton School of Cake Decorating and Confectionery Art still remains a bustling educational center for all baking aficionados. 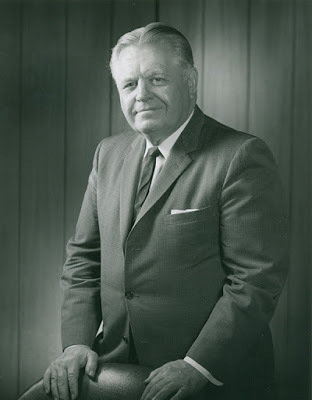 Determined to create interesting and engaging art through butter and suagr, Dewey and his following generations grew the business into not only a school, but also a food product and accessories line that can be found in most grocery stores around the country today as well as on their website. They even offer online classes for those who can’t make the trip to Illinois to join the fun in person. That’s a pretty remarkable career for any business, let alone one in the baking industry where it can be difficult to remain innovative and approachable at the same time. 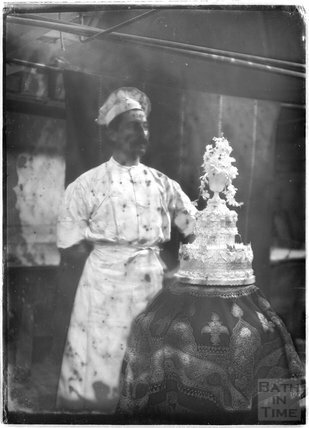 Thanks to Dewey’s Wilton Way and his easily accessible method, he helped dispel the myth that cake decorating was an intimidating, complicated art meant for only a certain type of person. Thousands of accomplished students have graduated from the Wilton program since its inception, many continuing on with successful careers in the baking industry. Laid out like coursework, it teaches readers progressively in master class style. Meaning that if you start at the very beginning, and work your way through each chapter, by the end of the book you’ll have amassed so much skill you’ll be able to confidently tackle the baking and decorating of a multi-tiered wedding cake festooned with a bevy of frothy details. You’ll notice it is missing some elements from the original cake – most noticeably the side snowflakes. I’ll explain how they went awry further down in the post. 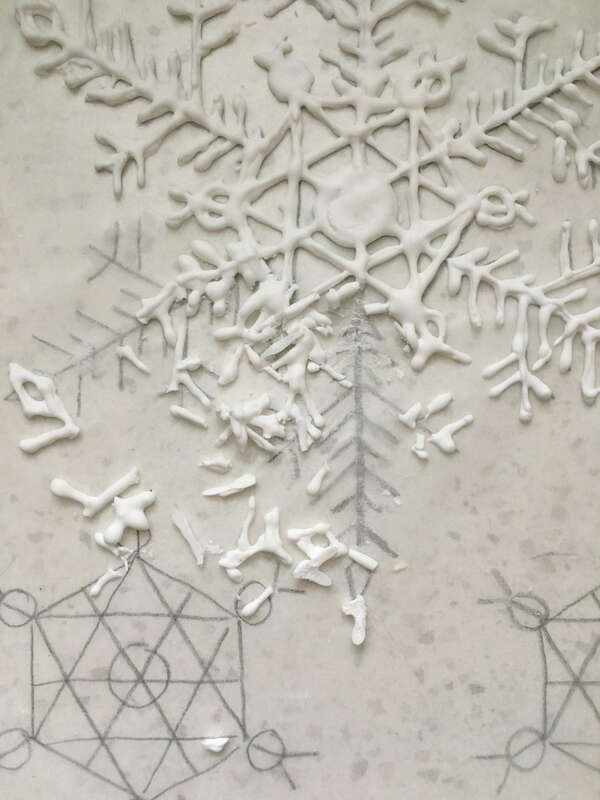 I’m also sharing the recipes, as I go along too, in case you want to take yourself to school and experiment with making your own vintage snowflake cake this winter as well. One funny thing about this cake decorating book in particular is that it’s all about cake decorating and only cake decorating, which means that you have to gather a recipe in order to bake the actual layer cake part from another source. 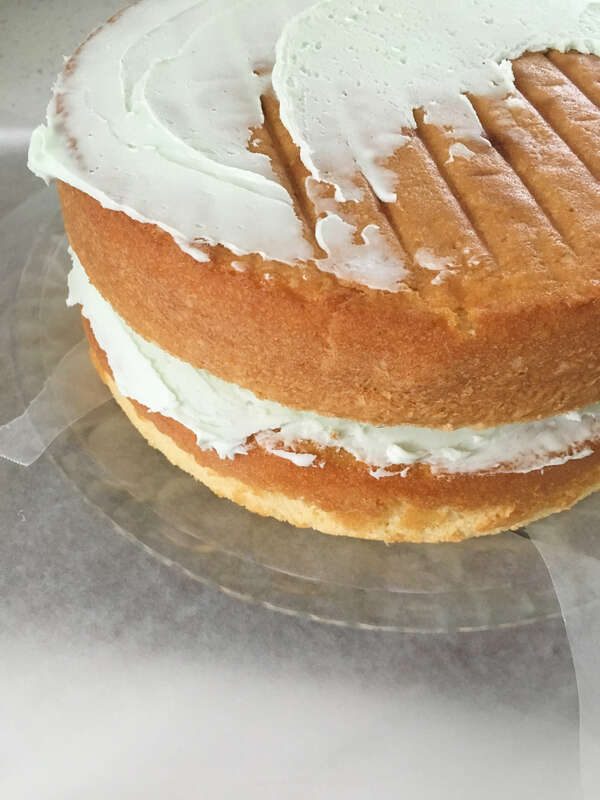 I used Martha Stewart’s Butter Cake recipe which turned out great because it baked flat and even on all sides – characteristics you definitely want when making a multiple layer cake. Preheat oven to 350. Butter cake pans and dust with flour, tapping out excess flour. In a large bowl, using an electric mixer, mix butter and sugar until pale (about 2-3 minutes). Add eggs, one at a time, mixing well after each addition. Add vanilla and mix again. Add flour mixture in three batches alternating between each batch with two batches of milk. Stir until evenly combined. 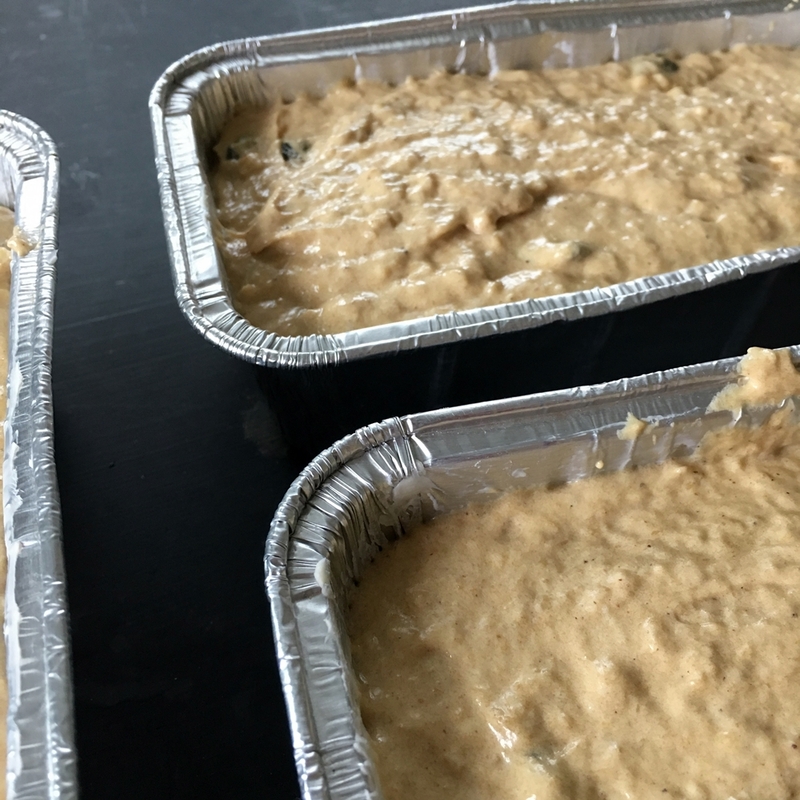 Distribute batter evenly between cake pans (this is about 3 1/4 cups of batter per pan). Bake for 20-25 minutes or until cake tester inserted in center comes out clean. Let cakes cool in pan on wire rack for 20 minutes. Invert cake layers and remove cake from pan. Let cool on wire rack completely then wrap each cake in wax paper and then plastic wrap and store in the fridge until you are ready to frost. 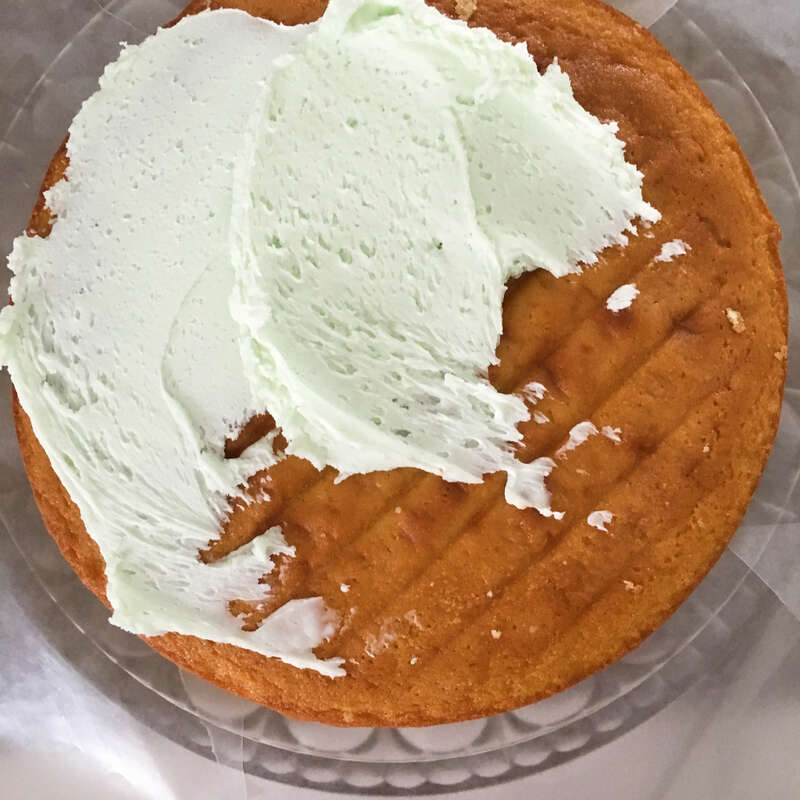 There are two types of frosting used for this cake. 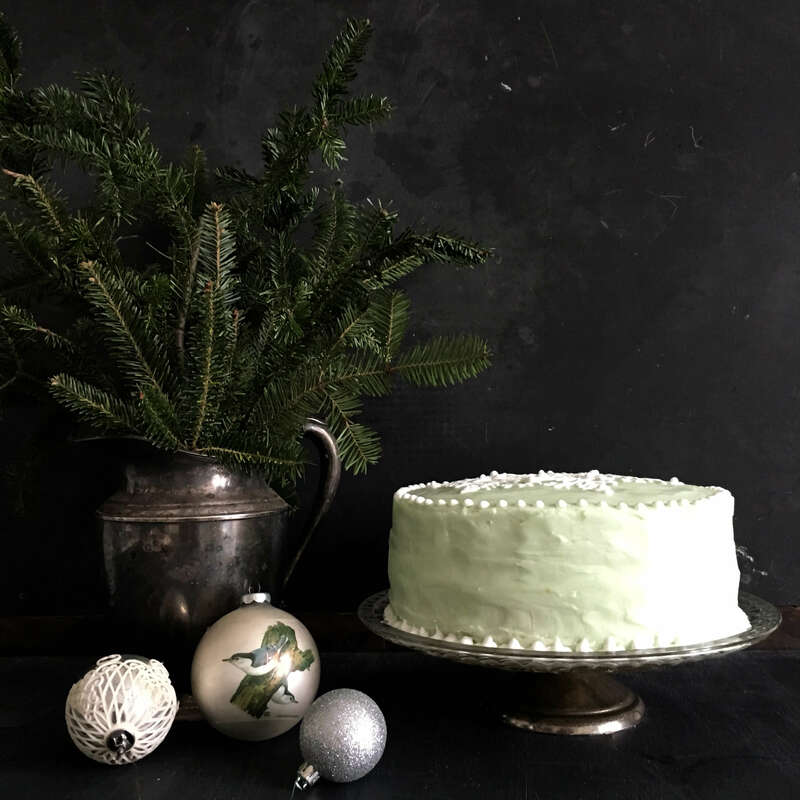 A pale green buttercream and a bright white royal icing. Both icing recipes are from the Wilton School and are easy to use. 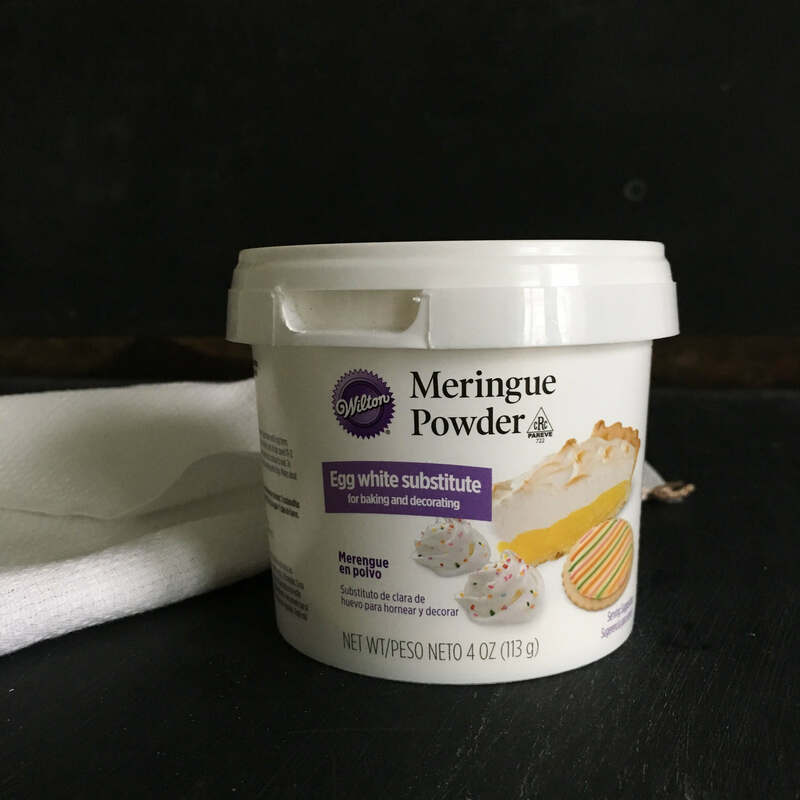 They both include a curious ingredient called meringue powder (made by Wilton!) which can be found in the baking section of your grocery or online. 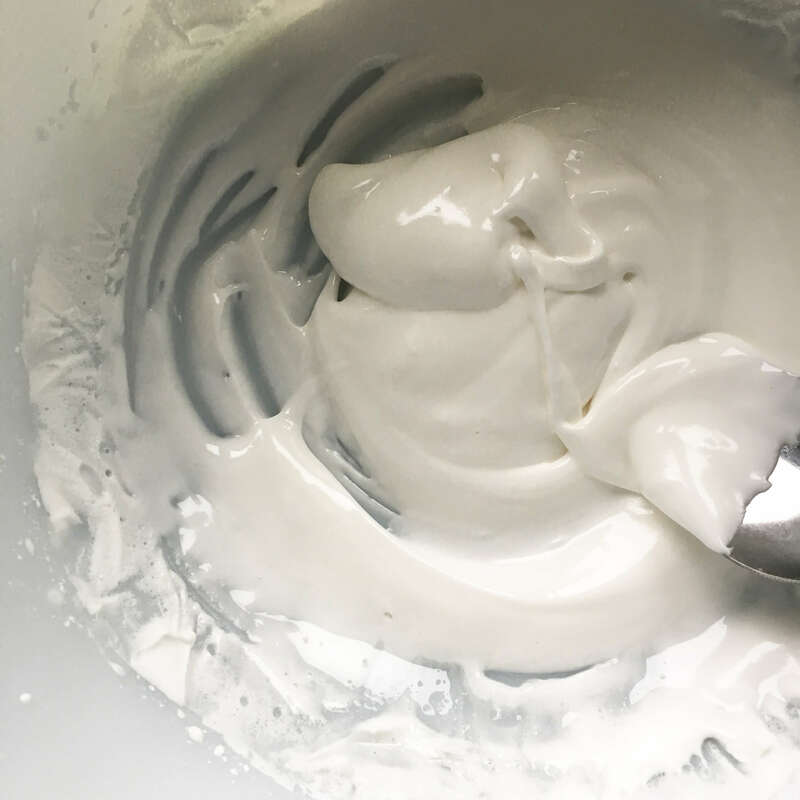 In a large mixing bowl, combine water and meringue powder and whip at high speed until peaks form. Add 4 cups sugar, one cup at a time, beating at low speed after each addition. Alternately, add butter and remainder of sugar. Add salt and vanilla and beat at low speed until smooth. Add food coloring one drop at a time, (a little goes a long way!) mixing thoroughly between drops until a desired shade is achieved. The color will deepen as the icing ages, so keep that in mind when adding drops. Special note: This recipe makes enough frosting for one two layer cake including top, sides and filling between layers, plus a little extra. 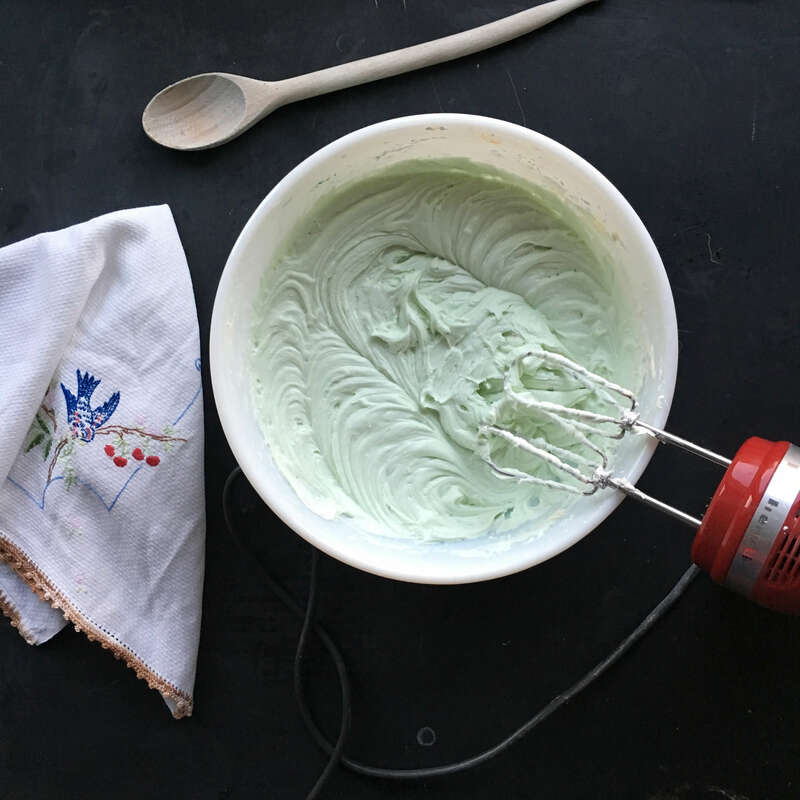 Leftover frosting can be stored in an air-tight container in the fridge for several weeks. 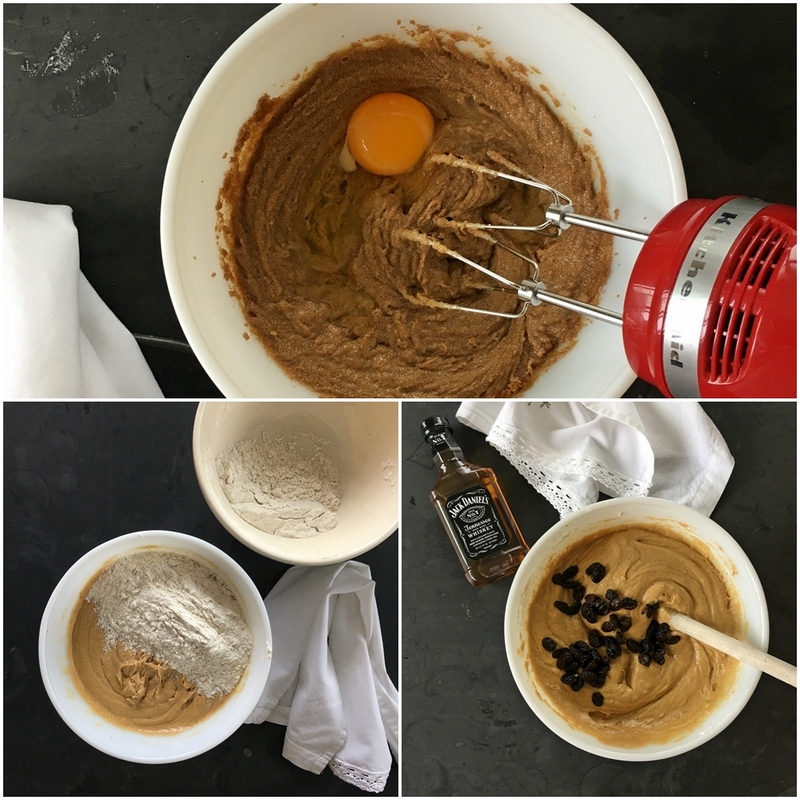 Combine all ingredients in a medium sized mixing bowl. At first, mix slowly with an electric mixer then increase the speed to medium and mix for 7-10 minutes. 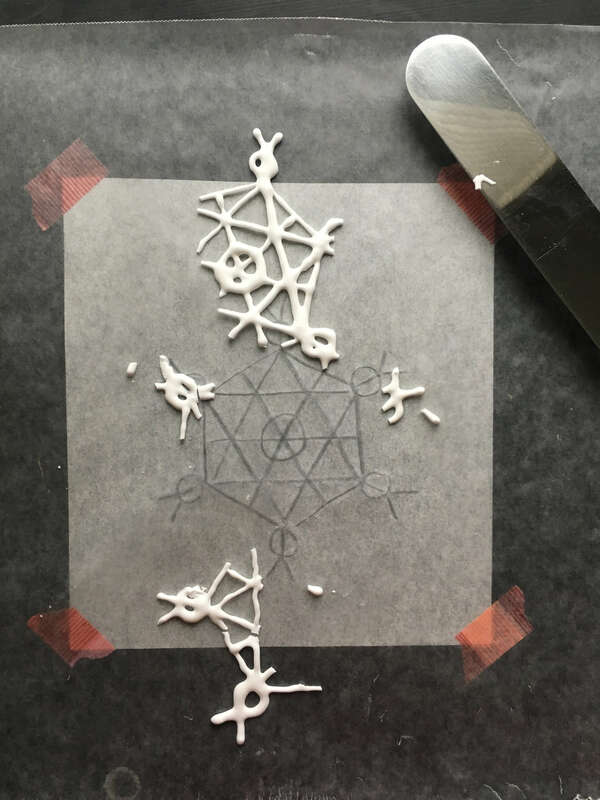 After many attempts and many hours, I abandoned this method of snowflake making altogether. Evidently I need more practice in this department! 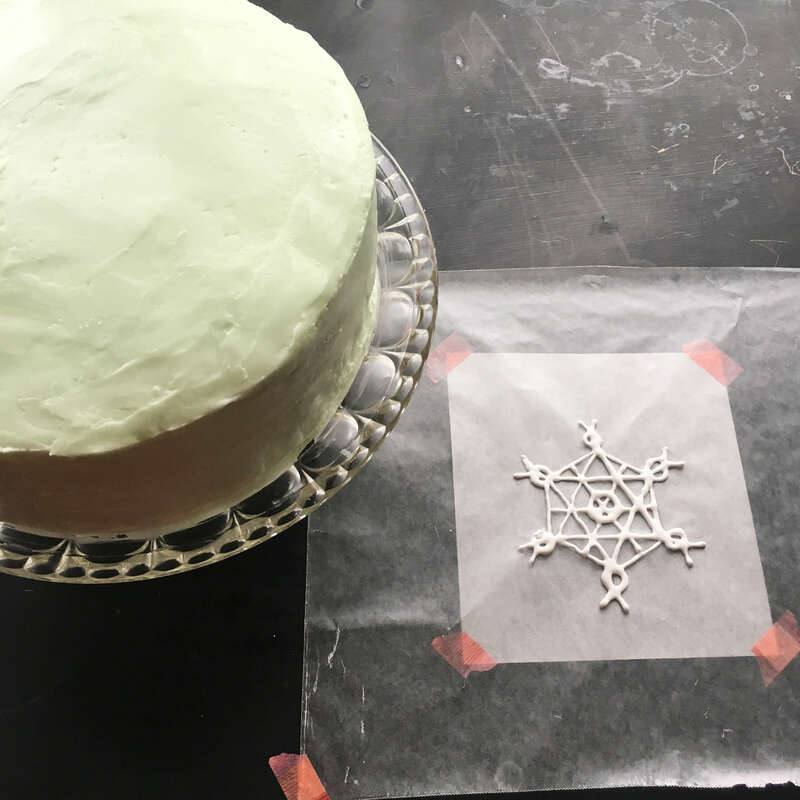 Instead, I just carried on and piped the large snowflake directly on top of the cake, freehand style, and left the sides bare. 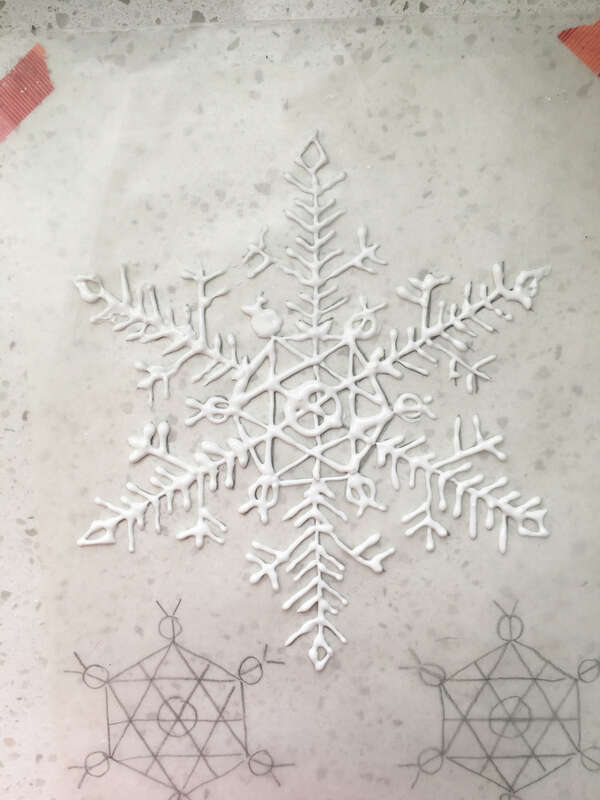 Finally, this winter snowflake cake was trimmed on top and bottom with little snowballs. Wilton recommended using two-different sized pastry tubes #3 and #6 for this task, but I just used just one ziploc bag and it worked great. 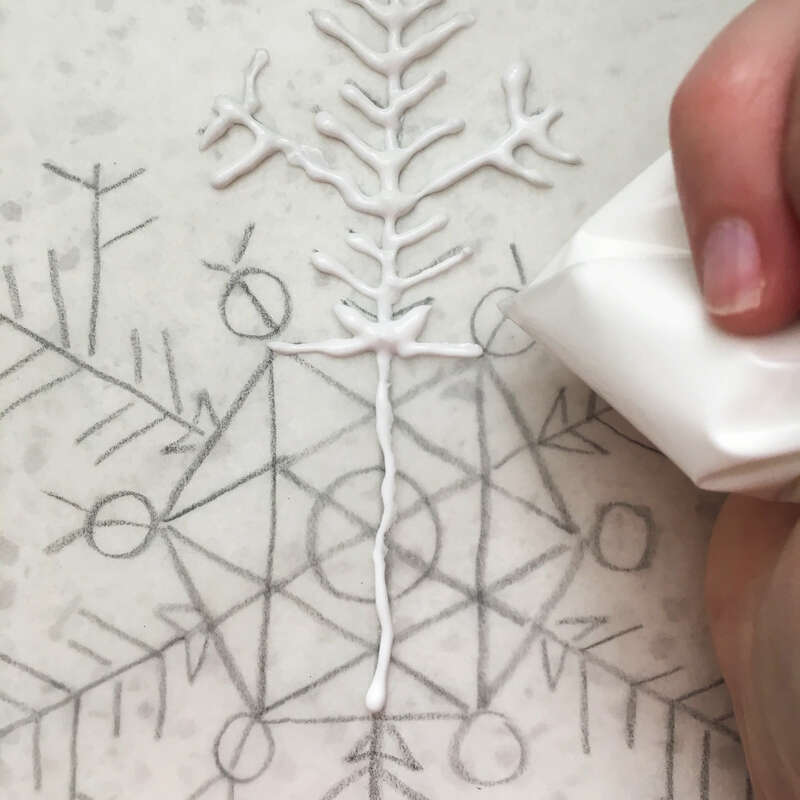 And that was how this vintage snowflake cake came to be. It definitely isn’t a perfect cake compared to Wilton standards, but it was a whole lot of fun to make and has me thinking about future designs once I practice, practice, practice as Wilton often recommends. Have you guys ever decorated cakes like this before? If you have any tips or techniques or adventure stories of your own confectionery creations, please share them in the comments section below. It will be fun to help propel the educational portion of this post, so that we can all learn together. 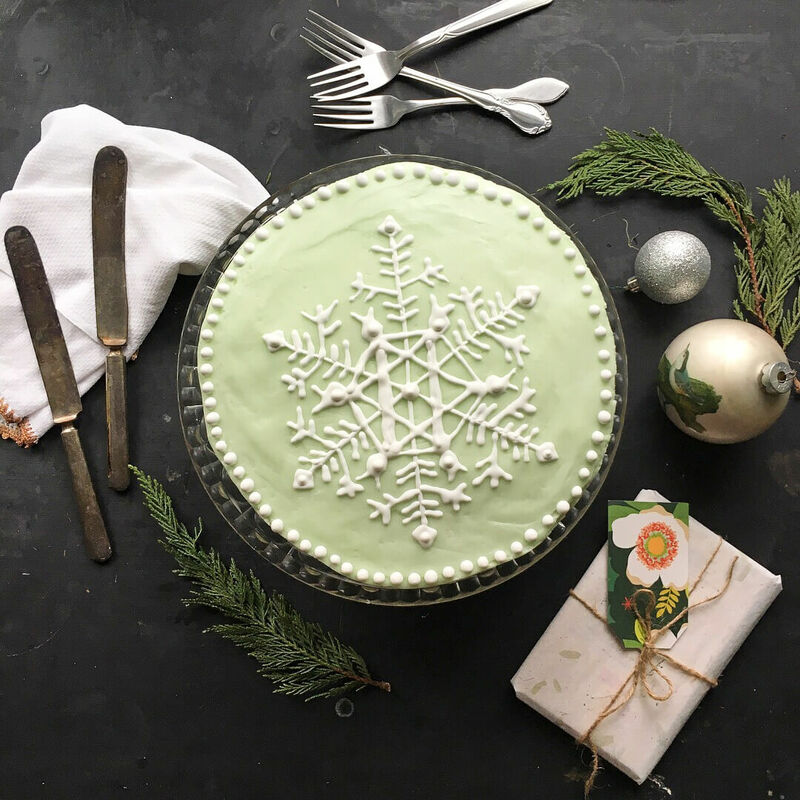 And most definitely, if you embark on this winter snowflake baking project, please let us know how it all tuned out in your kitchen. In the meantime, learn more about the wonderful world of Wilton and their inspiring vintage cake decorating book here. Several other shop items also made an appearance in this post’s photos as well… find the 1960’s era glass cake stand here, the 1920’s silver plate water pitcher here, and the vintage embroidered tea towel here. Hope your weekend is as sweet as buttercream and as lofty as a layer cake! Cheers! Hope you had a lovely and festive Thanksgiving holiday and are still enjoying lots of fun with friends and family. For all you post turkey shoppers, just a quick little note from the kitchen to let you know that there’s a 30% off sale in the shop starting today through Tuesday. If you’d like to get your gift gathering done early than this is the sale for you! 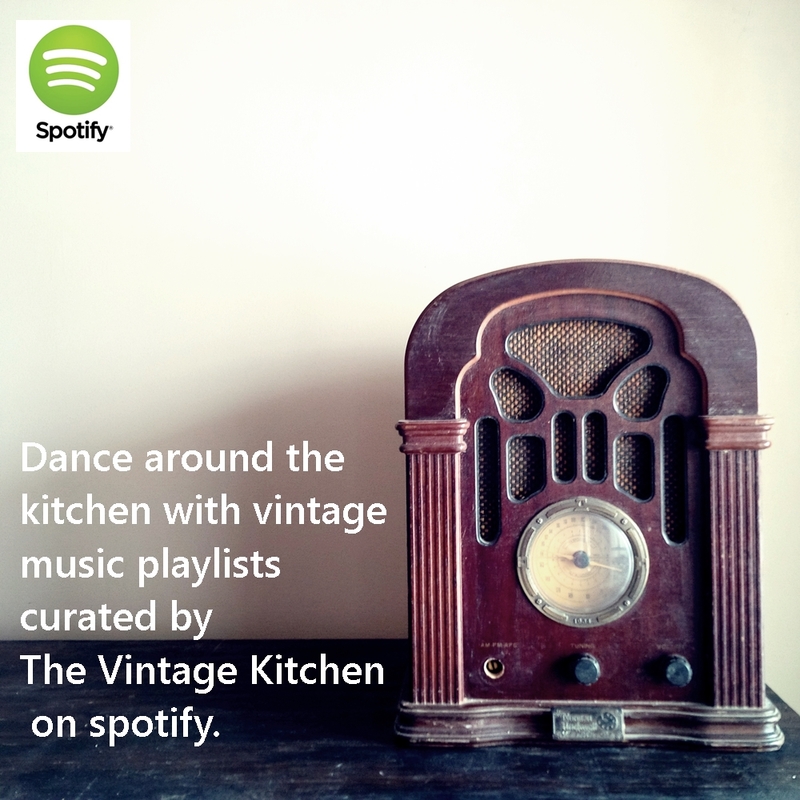 It covers all categories and collections in the shop from linens to serving pieces, kitchenwares to cookbooks and everything in-between. And it is also the final sale of the year, so if you are looking for some unique gifts for yourself or others, now is the time to shop and save. 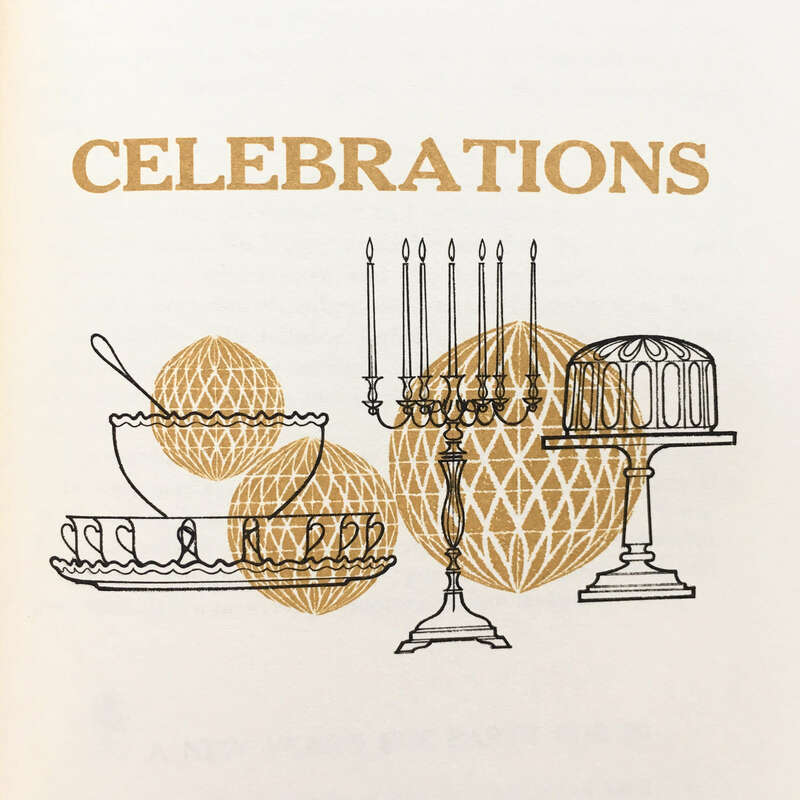 Whether you’ve been eyeing a set of antique French dishes from the 1800’s, a pretty little linen from the 1920’s or a cookbook filled with hundreds of recipes from the 1960’s, I hope the sale will inspire an extra dose of joy as we continue to party our way through the holiday season. Please use coupon code HOLIDAYCHEER upon checkout to recieve 30% off your entire order. and were left to rise again, for another hour, which they really didn’t do at all. It would be generous to say that after the hour was up, each loaf was half an inch taller, but that would be an exaggeration. Maybe, indeed the batter did rise a little, but if so it was barely noticeable. I hesitated here at this stage, thinking maybe I should let them sit longer so that each loaf could get bigger. 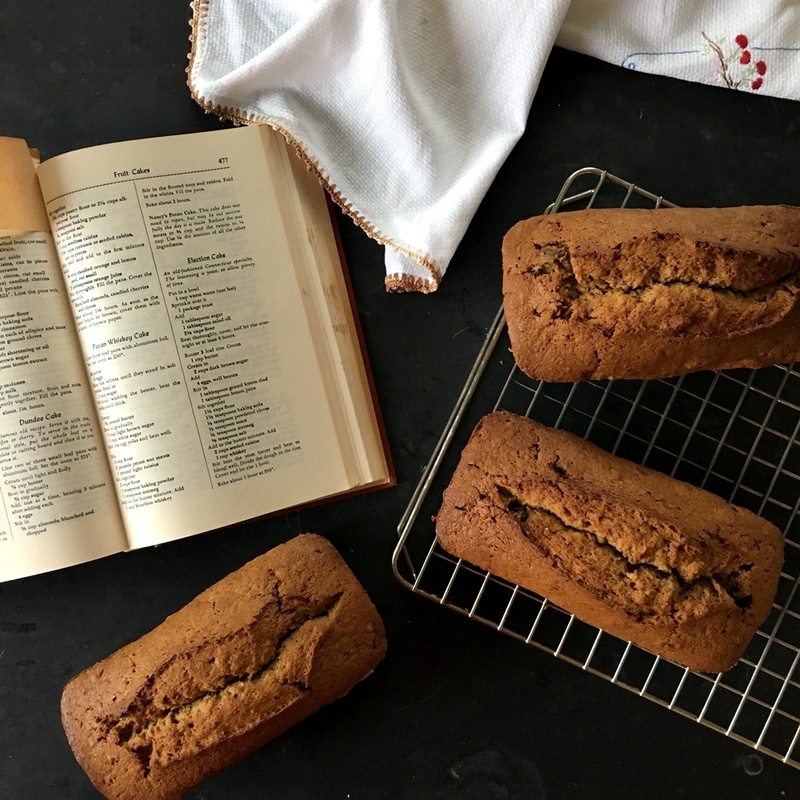 But then I remembered that the author of this recipe, Fannie Farmer, was a stickler for precision and instruction, so into the oven the three loaves went, without any extra rise time. Just follow the recipe. That’s what Fannie would have said. And that is when I discovered that this very old Election Cake is in fact, very delicious. I understand how people could get confused about whether to call it a cake or a bread because really it is similar to both. 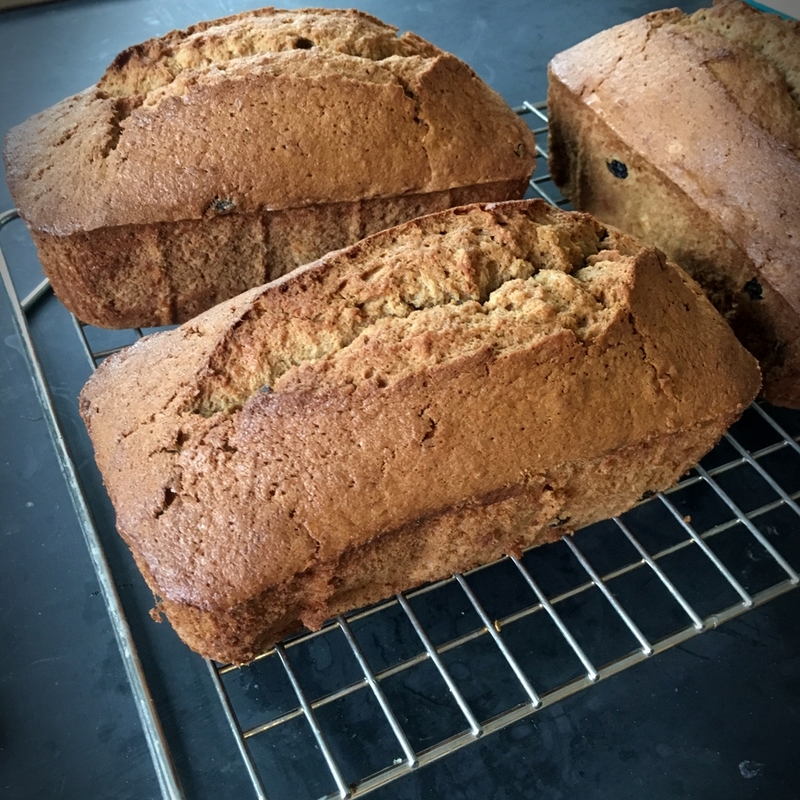 It has a texture and consistency like banana bread or zucchini bread but also it has a light and fluffy body like cake. The combination of the whiskey, yeast and nutmeg gives it a subtle hint of almost root beer-like tang that is lovely and warm. And although it already has a cup of butter in it, this little darling of a delectable is calling out to be sliced and toasted with an extra slather of butter. 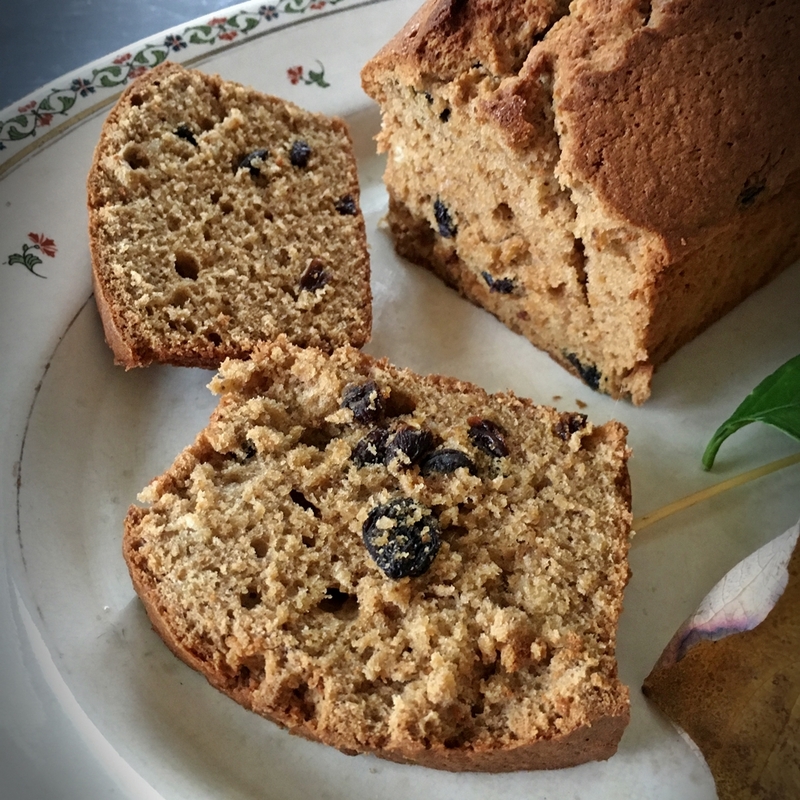 While no one ingredient is powerfully overwhelming, all of them work well together to create a balanced flavor that hints at citrus and at spice, which leads me to understand how so many varieties of Election Cake came about between the 1700’s and now. 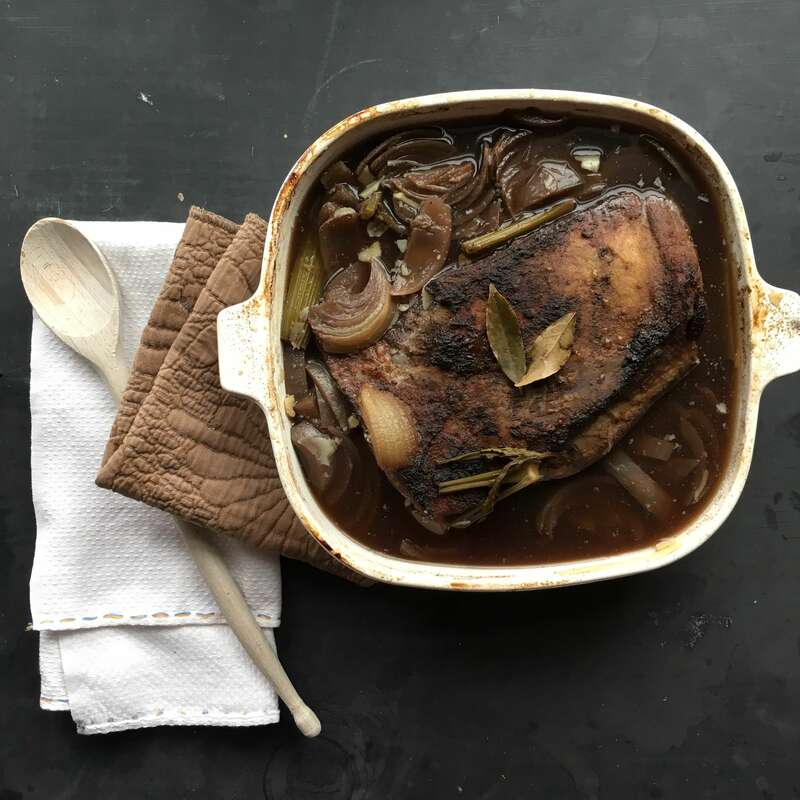 It’s wonderful just as it is, but it’s also one of those recipes that might spark your creativity. After you have made it once or twice, it will make you feel brave – enough to confidently add your own little twist. Not an improvement, just a twist. Maybe you’ll want to add some nuts or orange peel or cinnamon or cranberries. 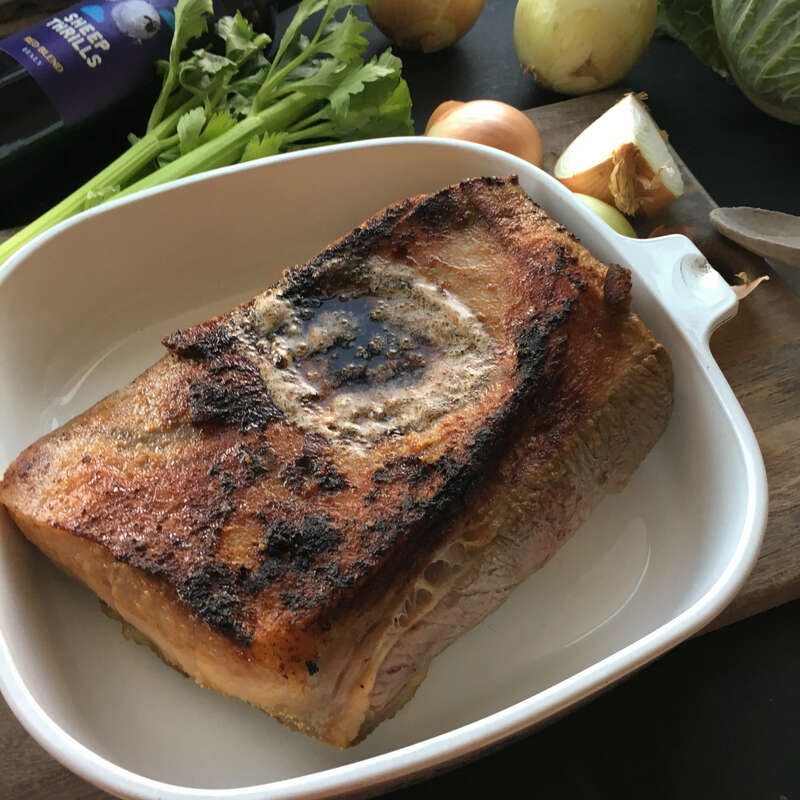 Or maybe you’ll get creative on the serving side and want to pair it along with thinly sliced pieces of ham or brie or cream cheese for a savory little snack. 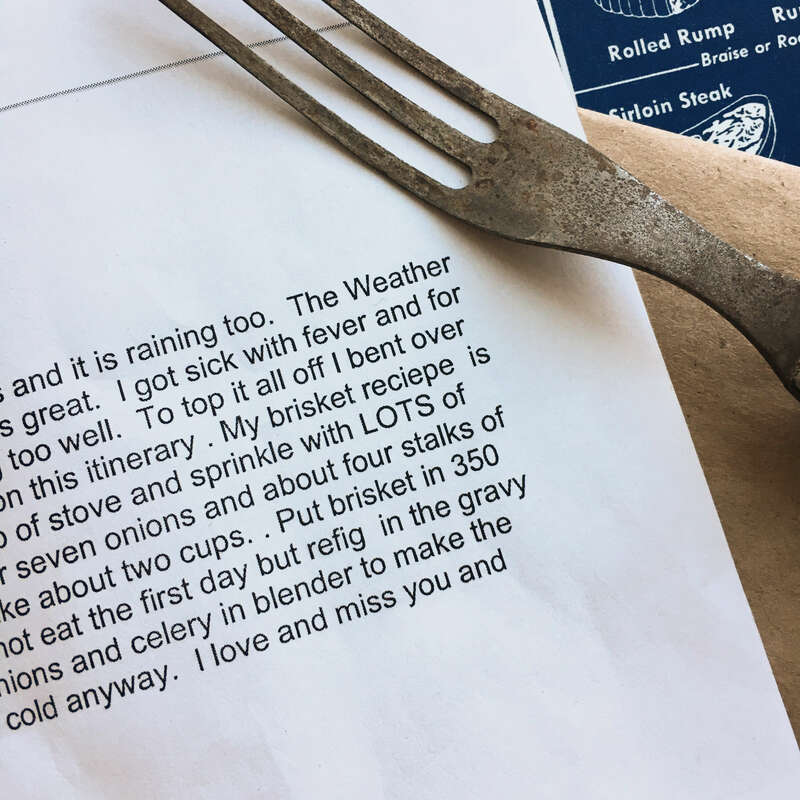 I love recipes like this – ones that feed your brain as well as your belly. Either way you decide to approach this recipe, you’ll be most successful with it if you use good quality ingredients like local eggs, fresh nutmeg, European butter, etc. 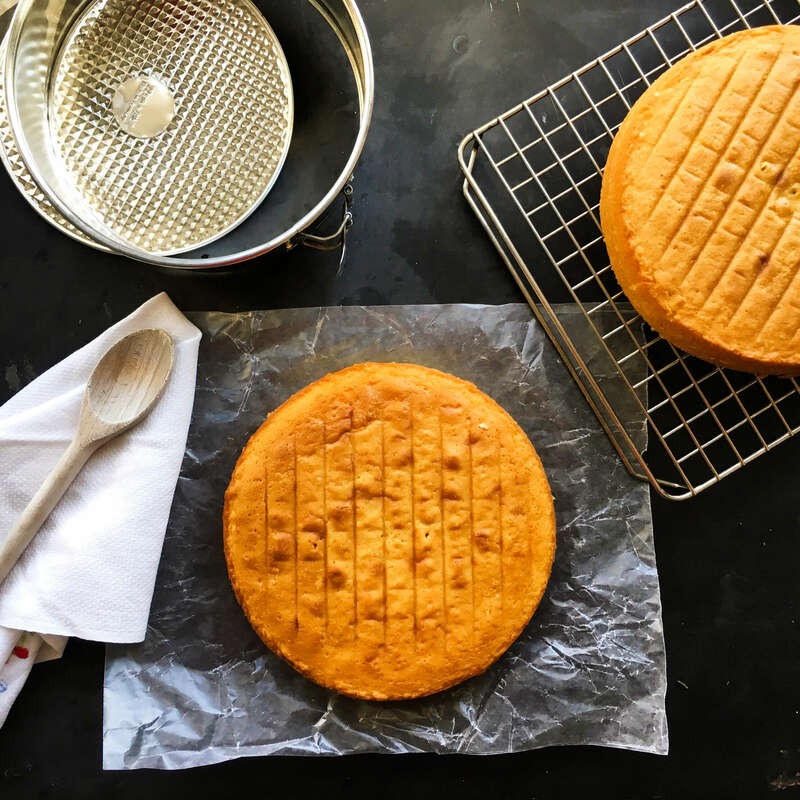 They might be a little more expensive to buy, but the more fresh and natural your ingredients, the more flavorful this cake, in particular, will be. 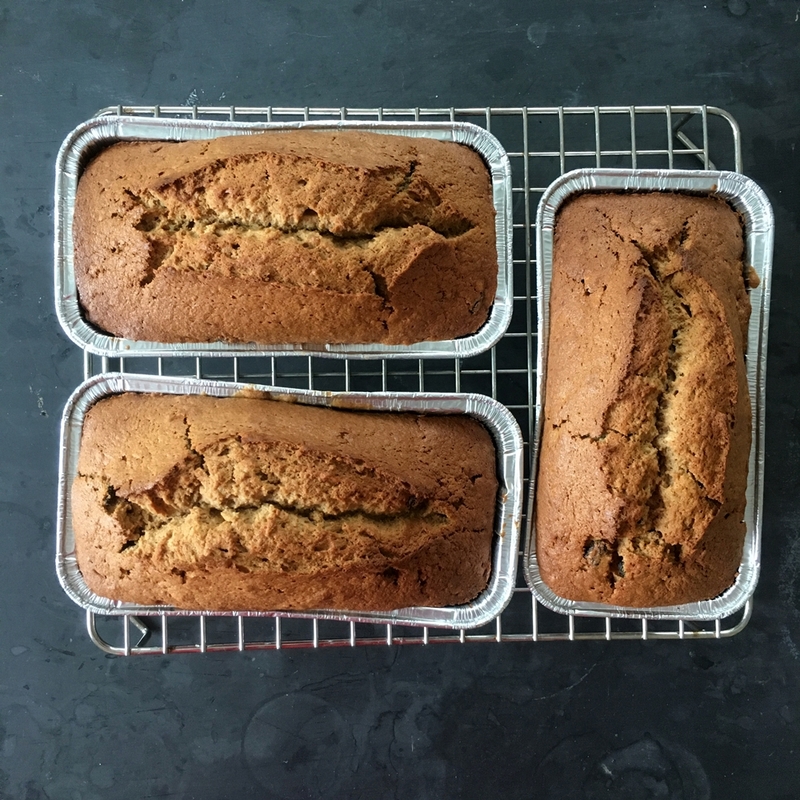 And because it makes three loaves at once, you can freeze two for later, preferably when its cold and snowy, as this would be especially nice for winter breakfast alongside a cup of coffee, for lunch or tea-time or even afternoon hors d’oeuvres. Sweet in a satisfying, robust way (not in an empty calorie way), it will give you renewed energy to carry on with your day, which was exactly the original intention way back on voting days in the 1700’s. Beat thoroughly , cover, and let rise overnight or at least 6 hours. 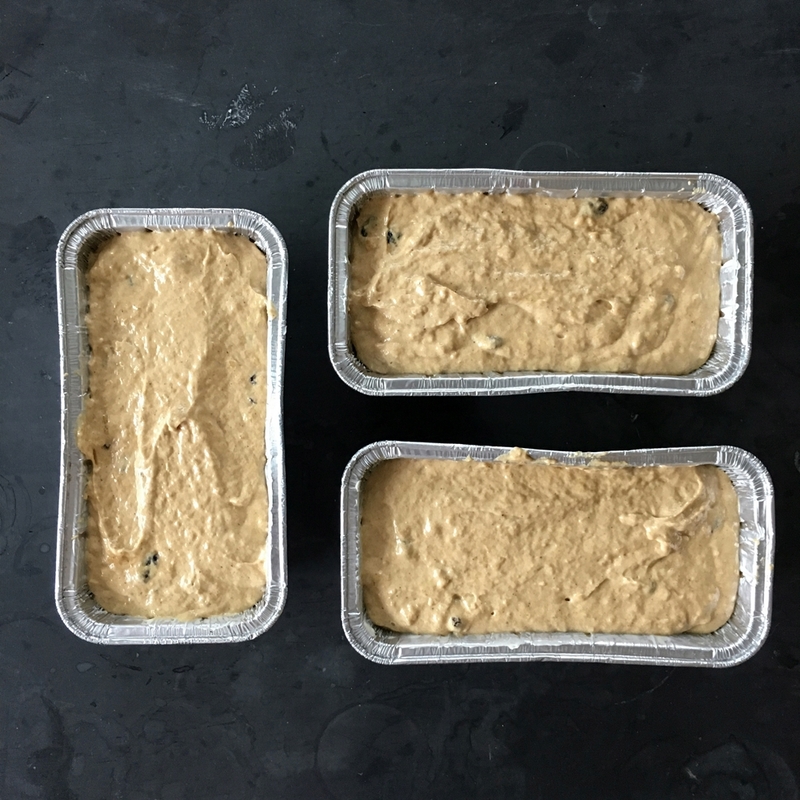 Butter three loaf tins. Cream 1 cup butter. Cream in 2 cups dark brown sugar. Add 4 eggs, well beaten. Stir in 1 tablespoon grated lemon rind and 1 tablespoon lemon juice. Sift together 1 1/2 cups flour, 1 1/2 teaspoons baking soda, 1/2 teaspoon powdered cloves, 1/2 teaspoon nutmeg, 1/2 teaspoon mace (if you can’t find this spice, substitute it for an additional 1/2 teaspoon nutmeg), 1/2 teaspoon salt. Add to the the butter mixture. Add 2 cups seeded raisins, 1 cup whiskey. 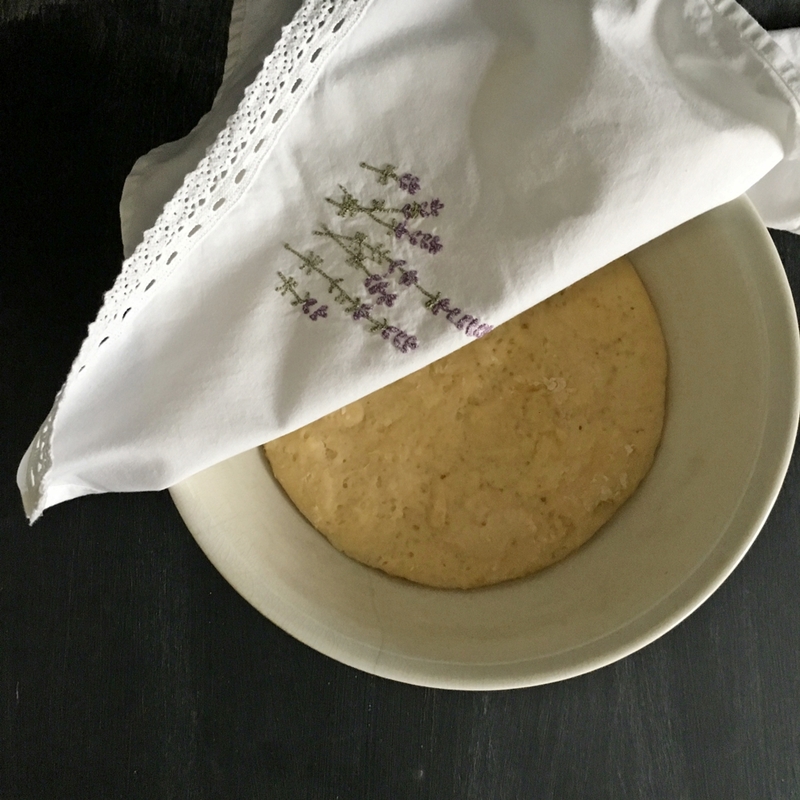 Stir into the yeast batter and beat to blend well. Divide the dough in the tins. cover and let rise 1 hour. Bake about 1 hour at 350 degrees. 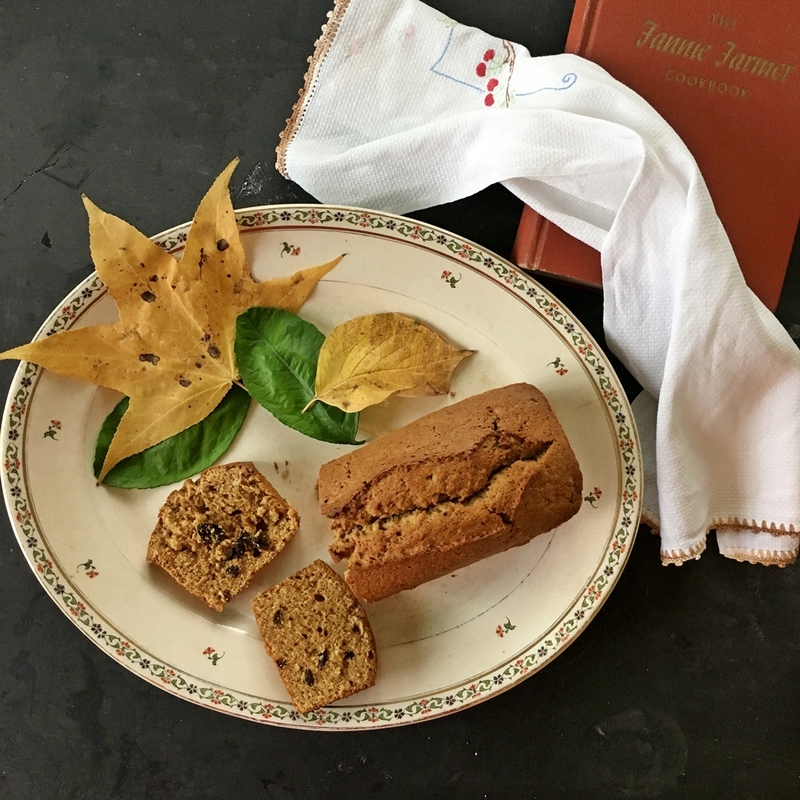 Interested in learning more about Fannie Farmer and her historic recipes? 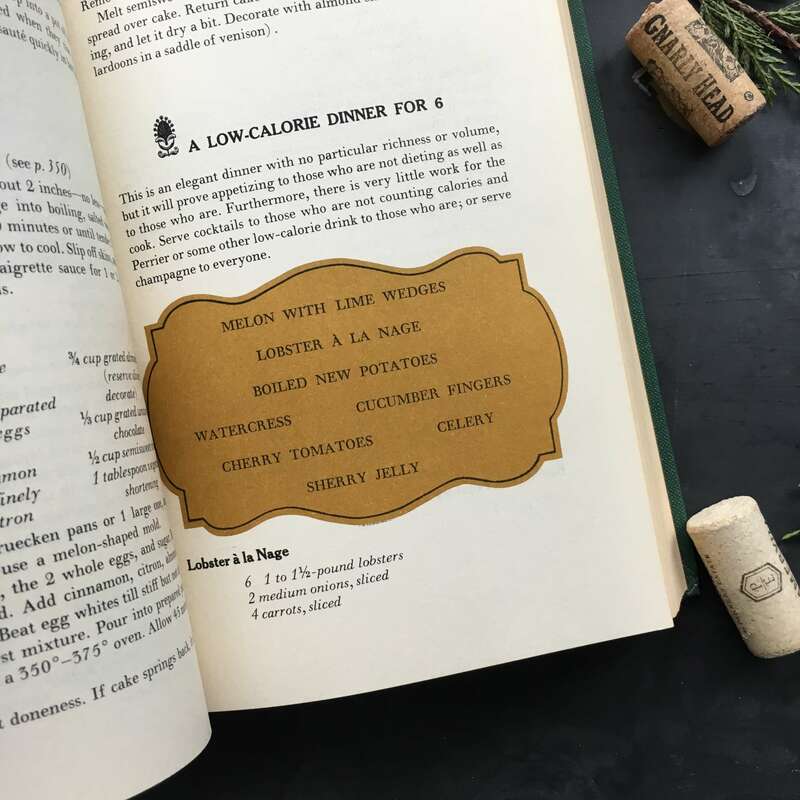 Find the 1965 edition of her original 1898 cookbook in the shop here. 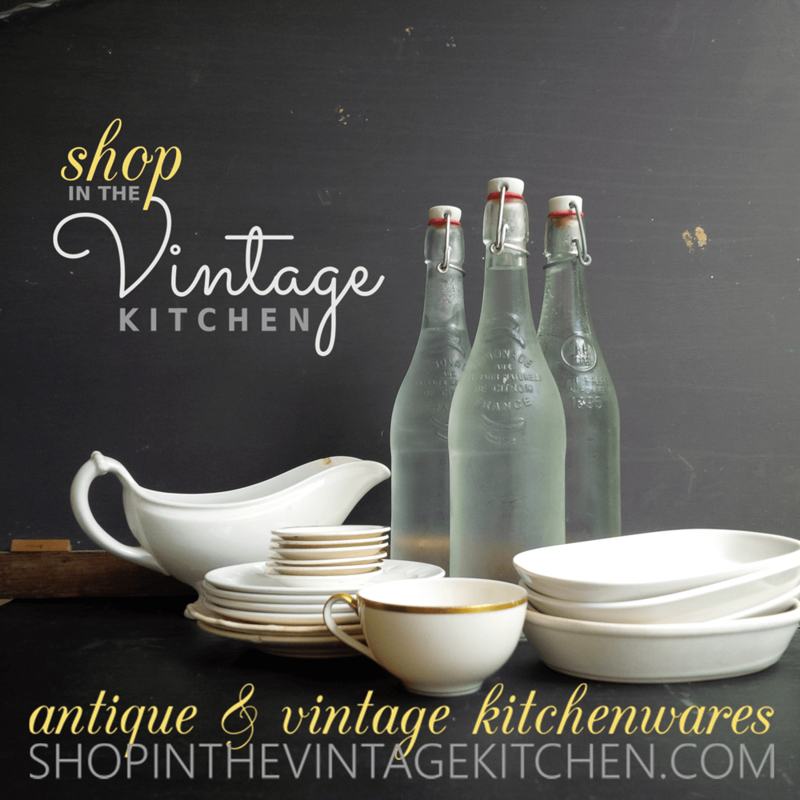 And just a little reminder… there are just two days left to save 20% off all vintage and antique platters in the shop! Find your favorite here.